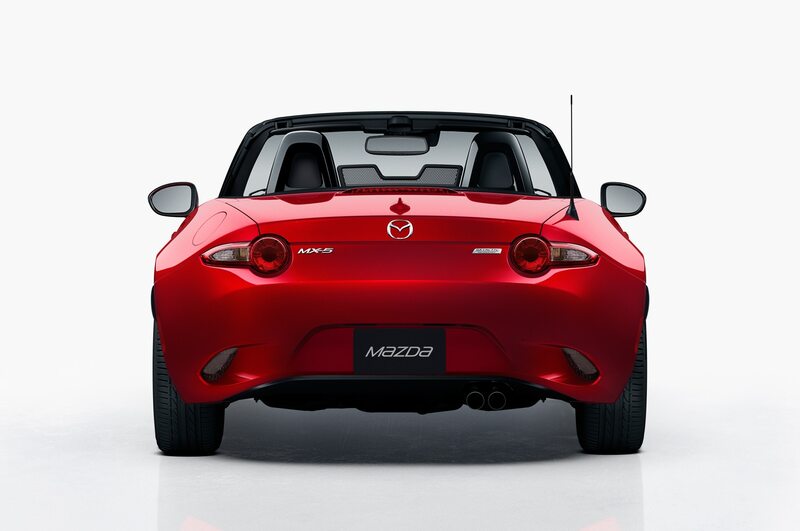 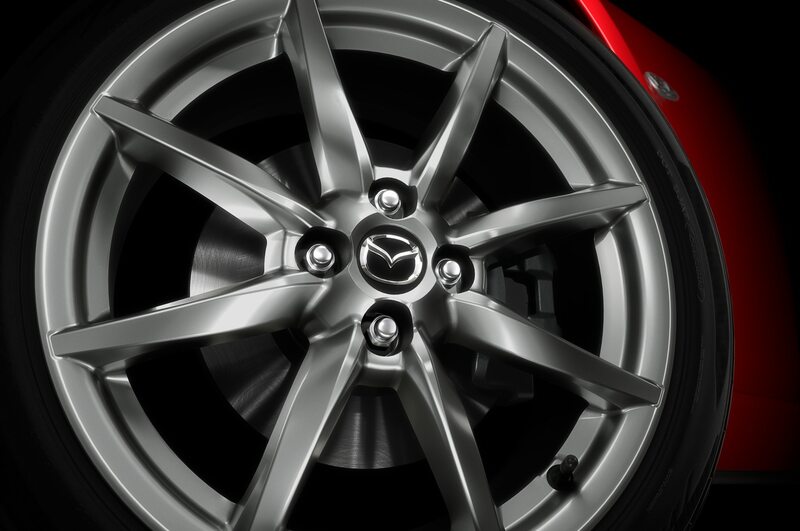 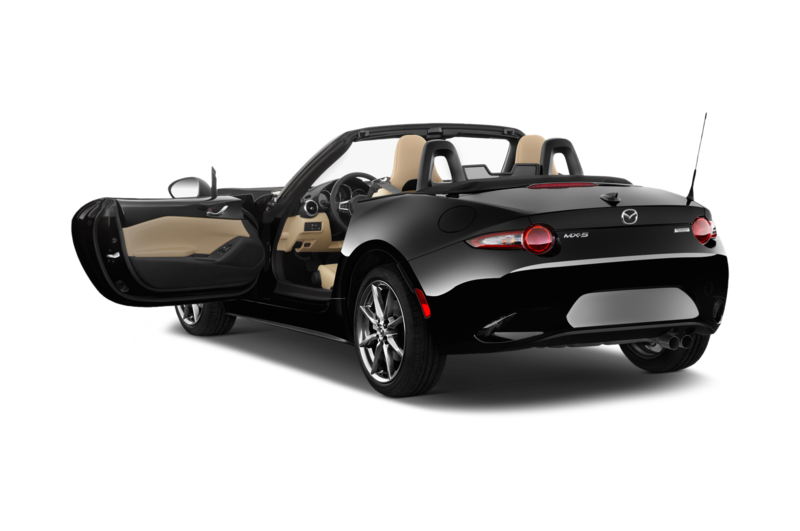 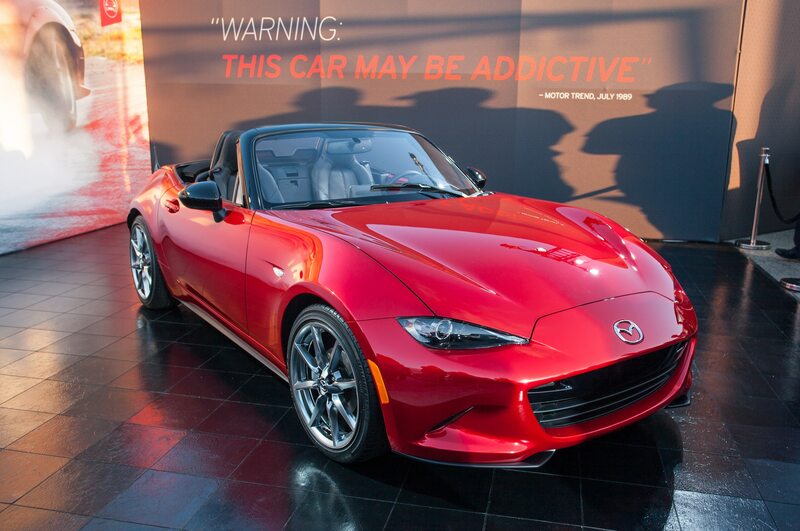 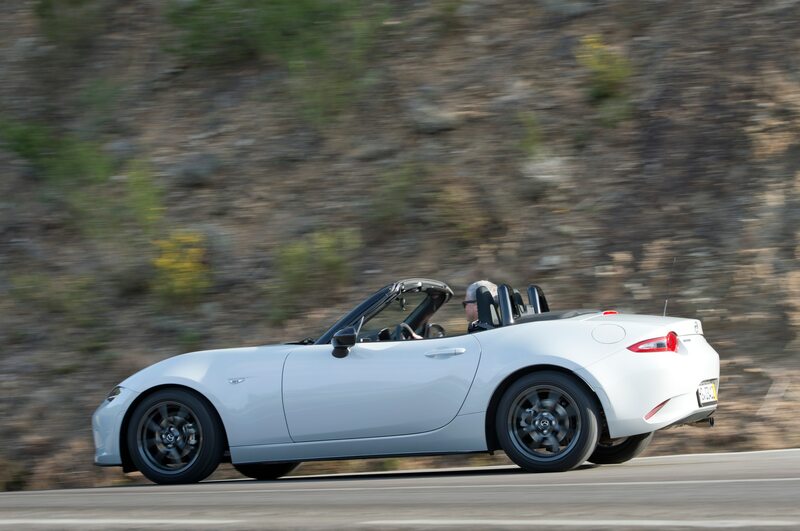 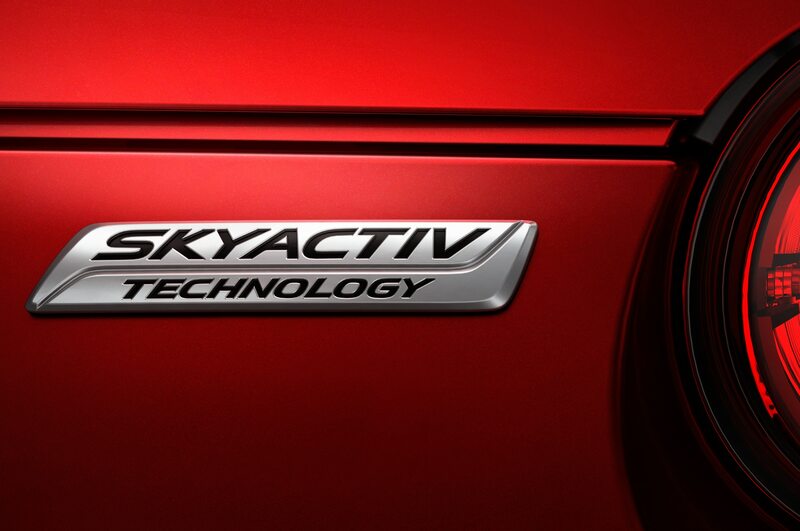 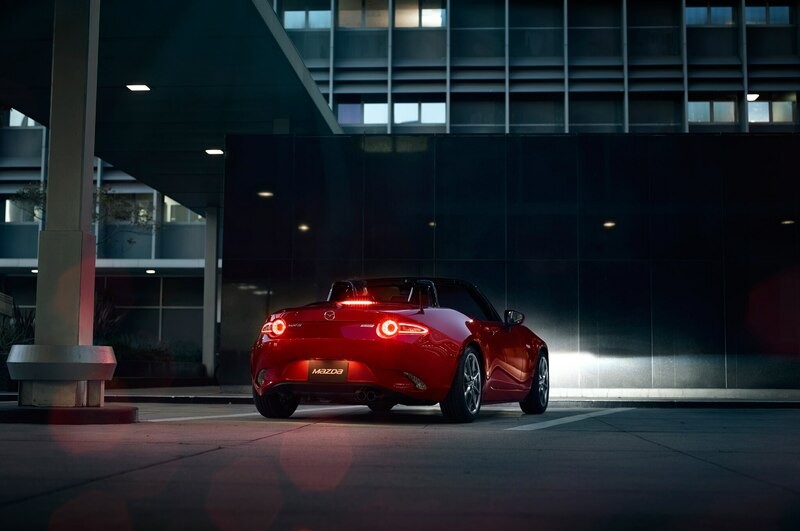 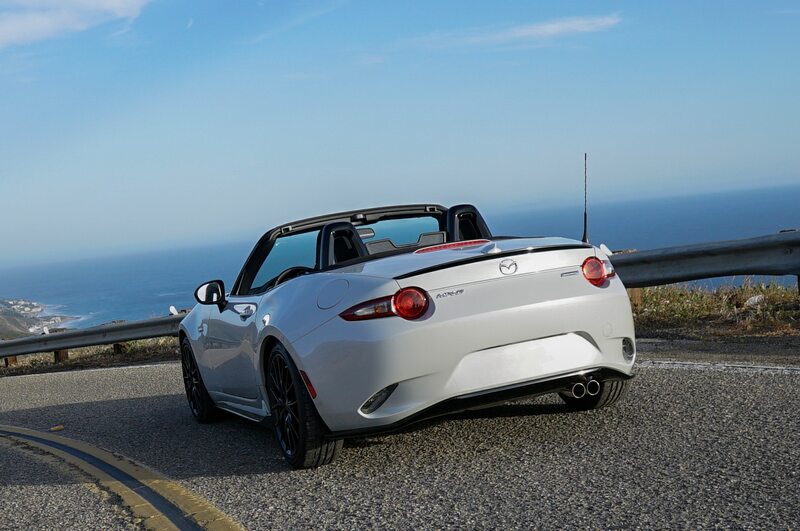 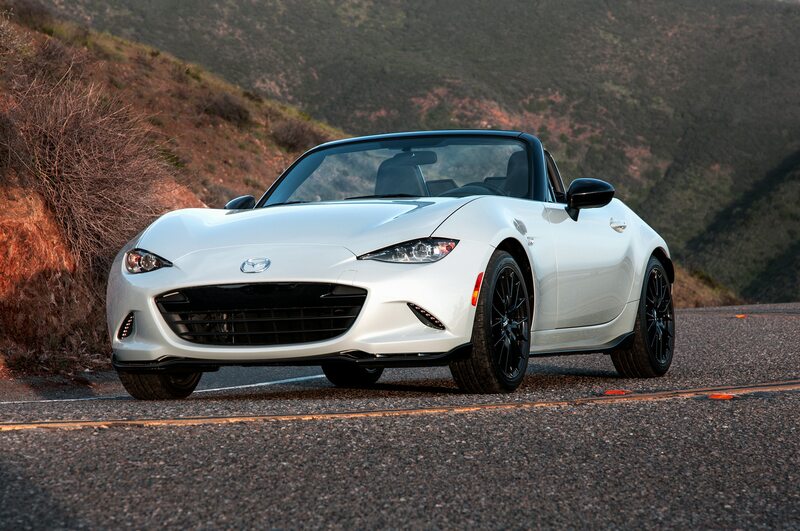 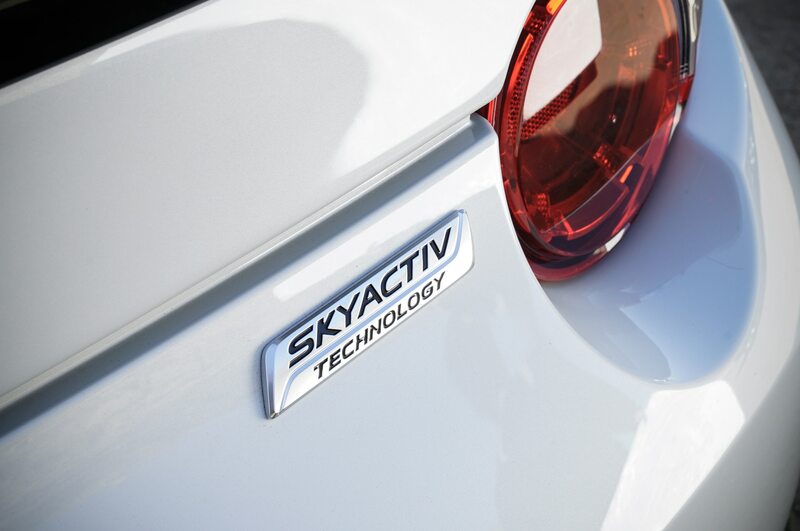 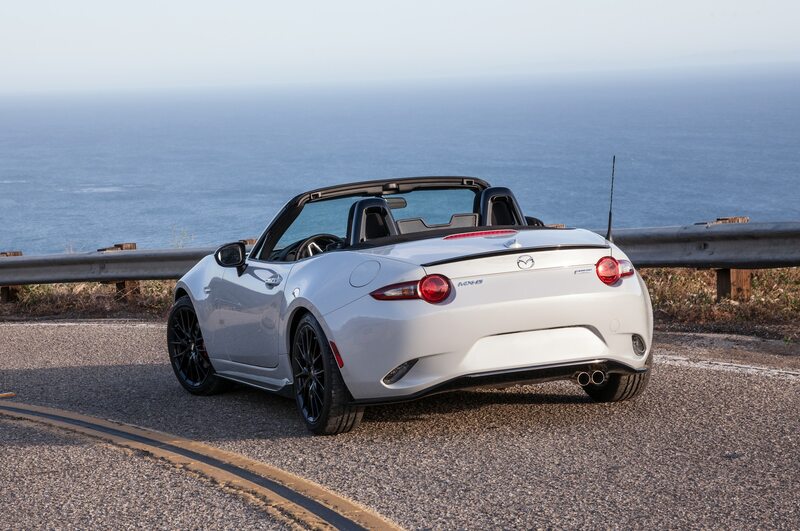 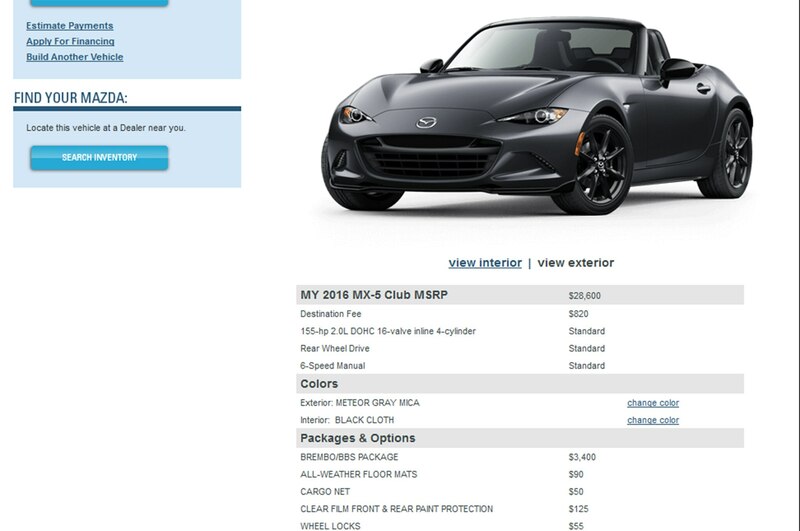 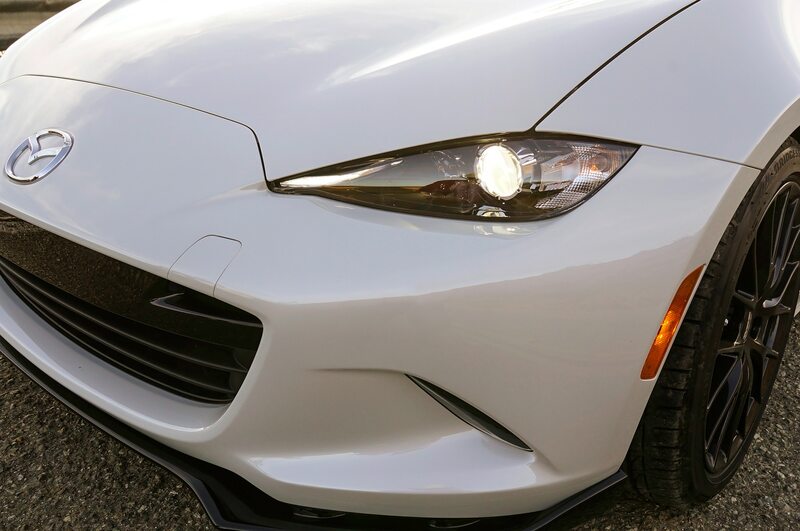 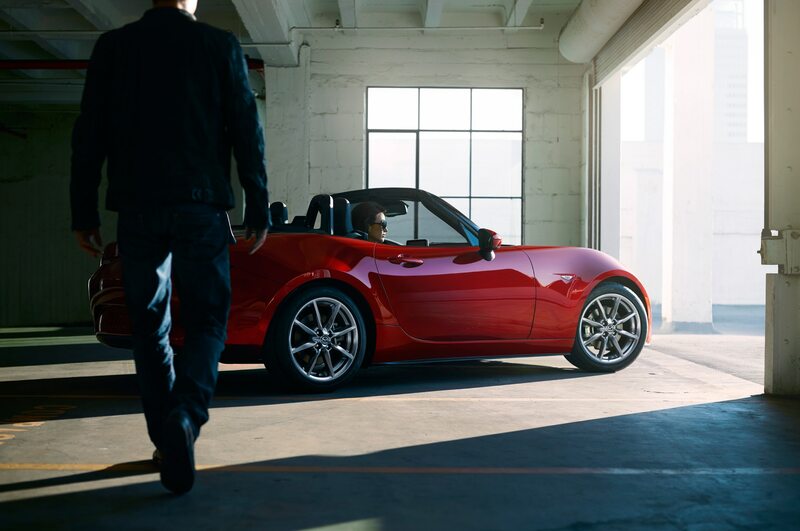 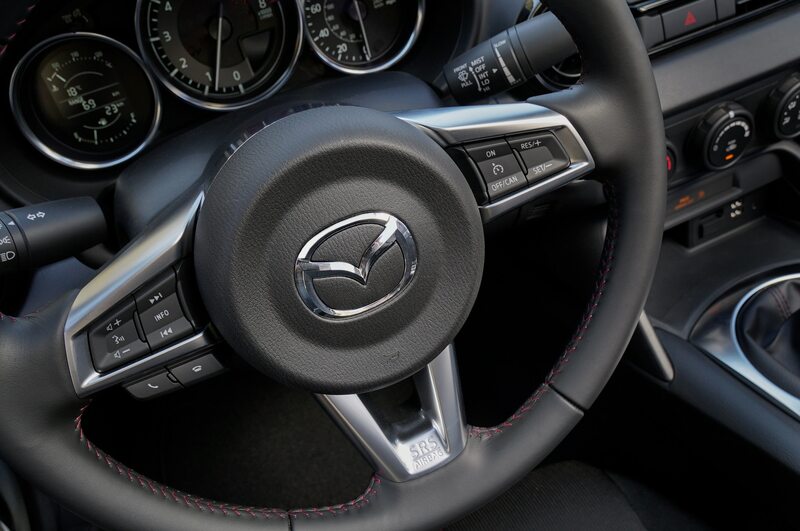 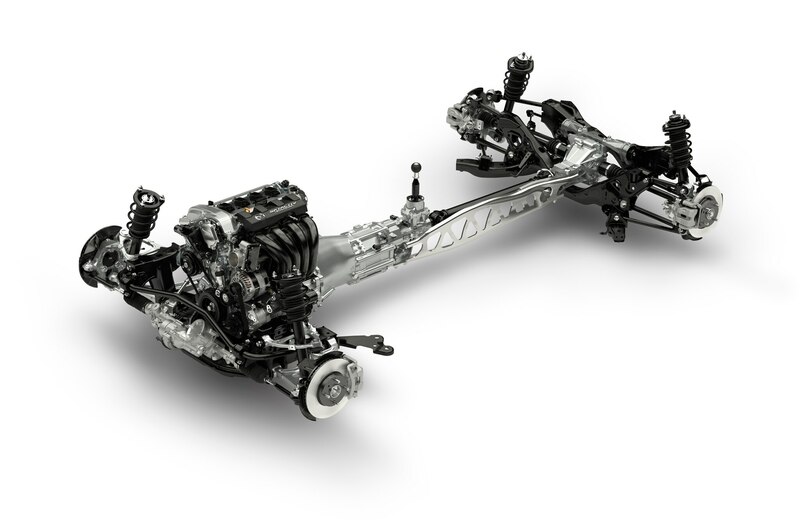 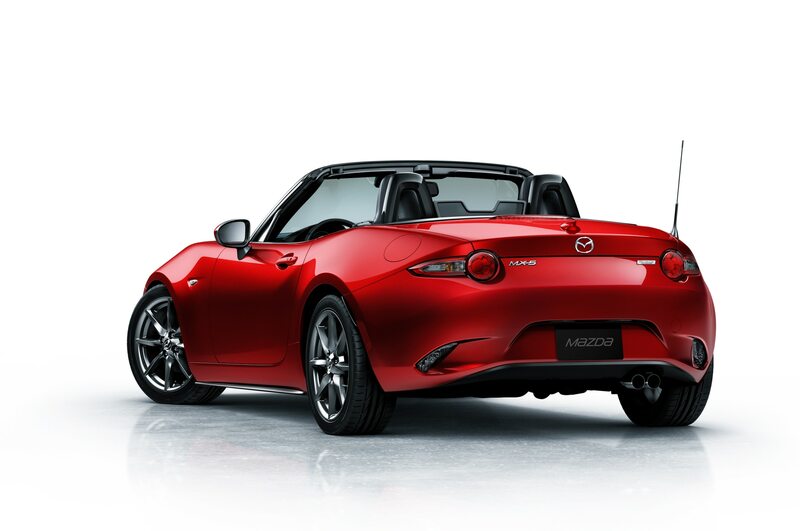 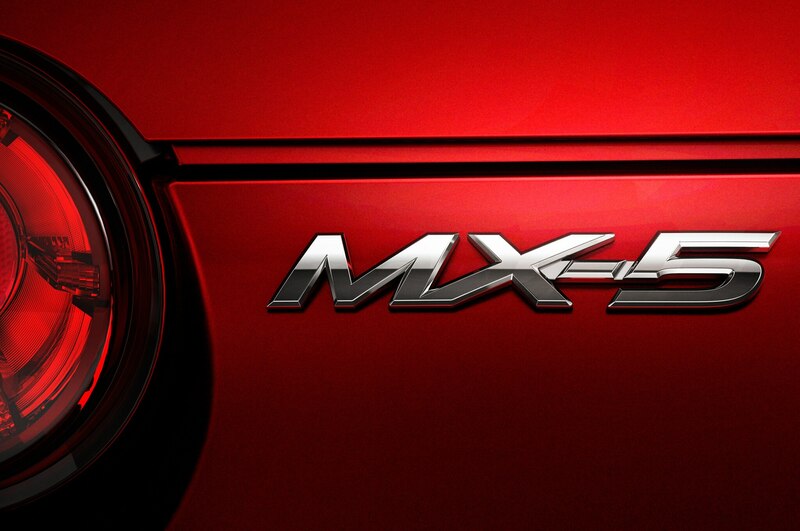 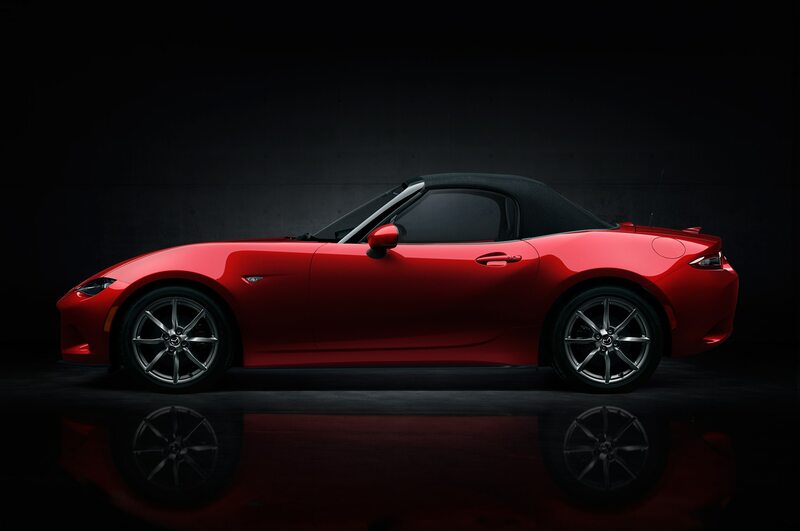 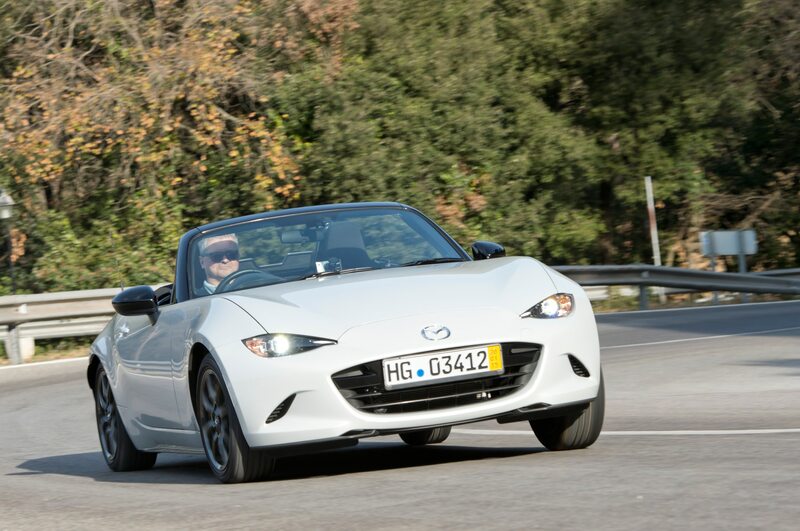 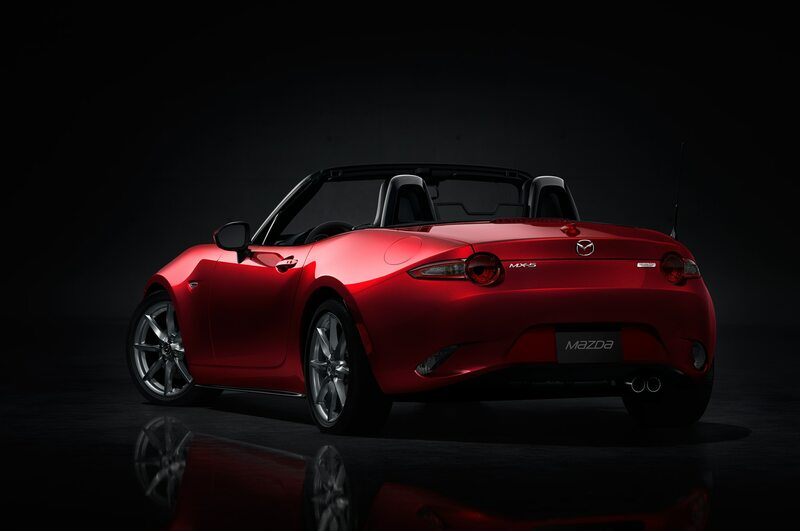 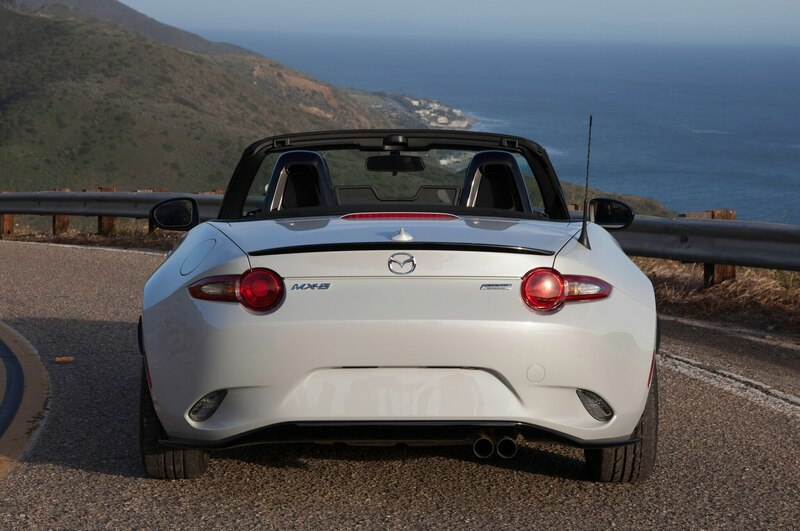 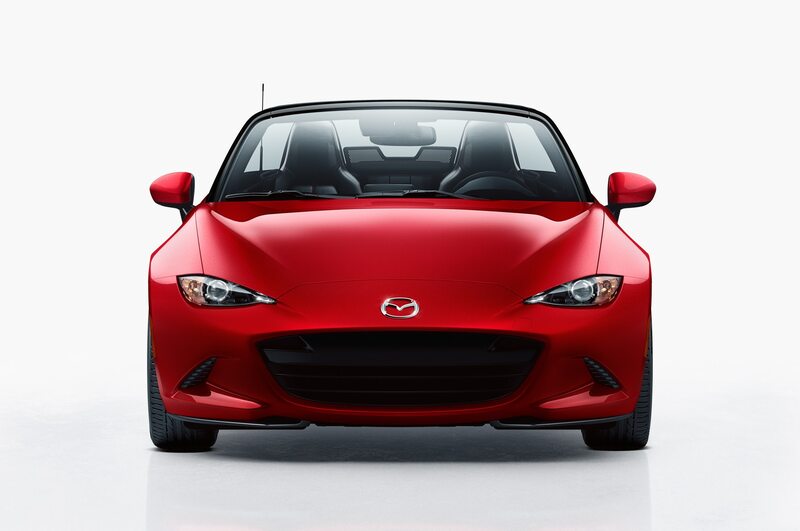 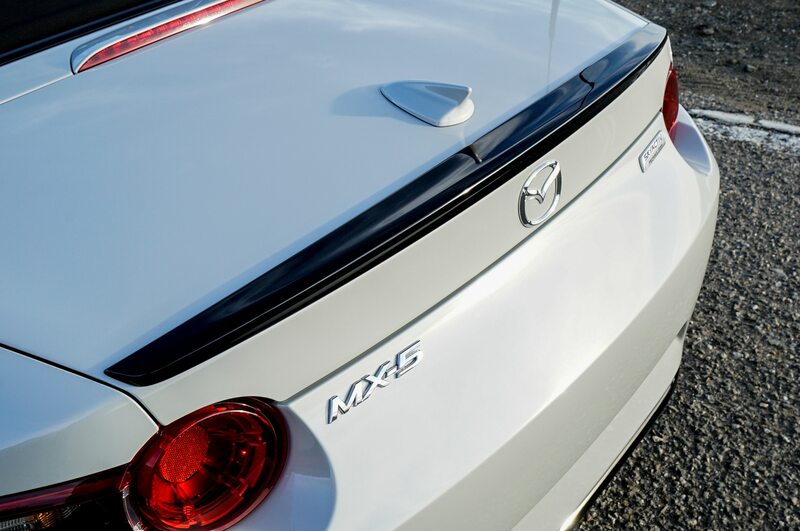 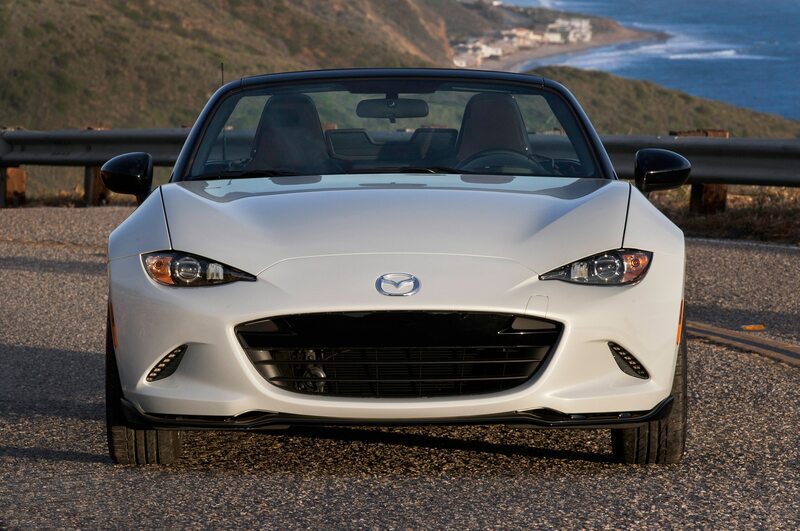 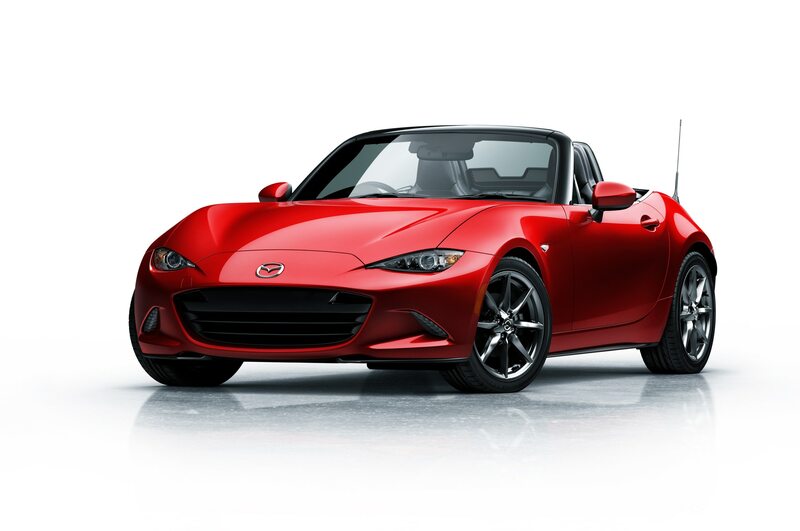 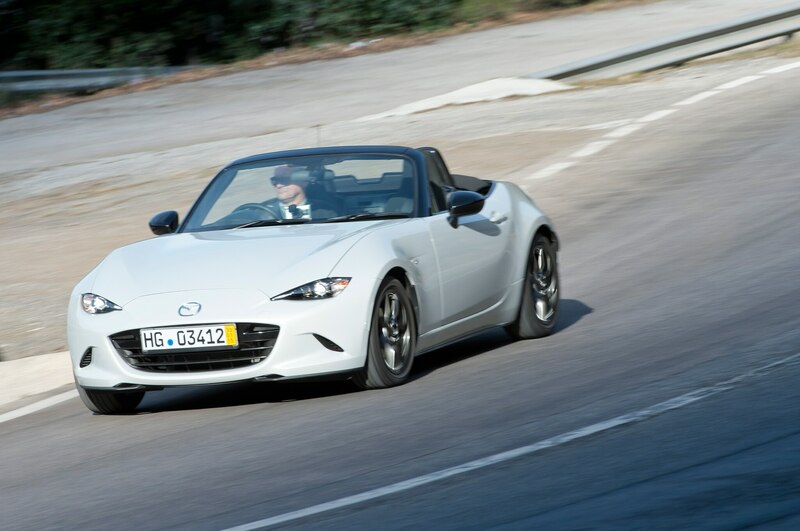 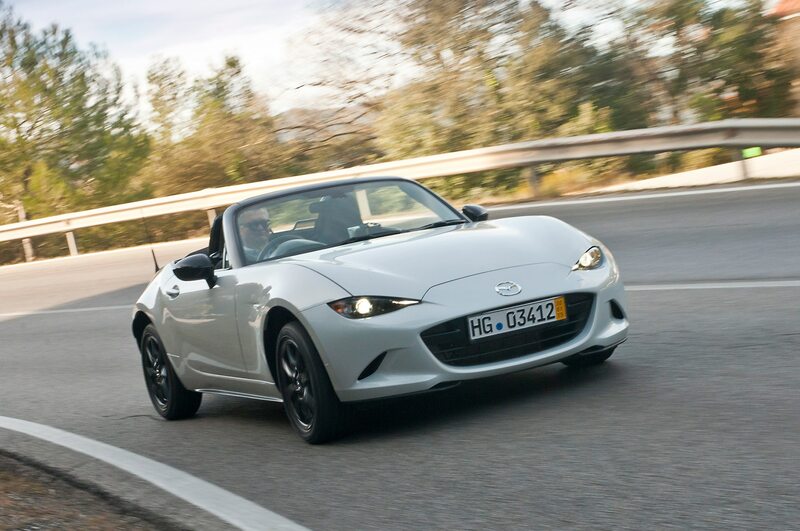 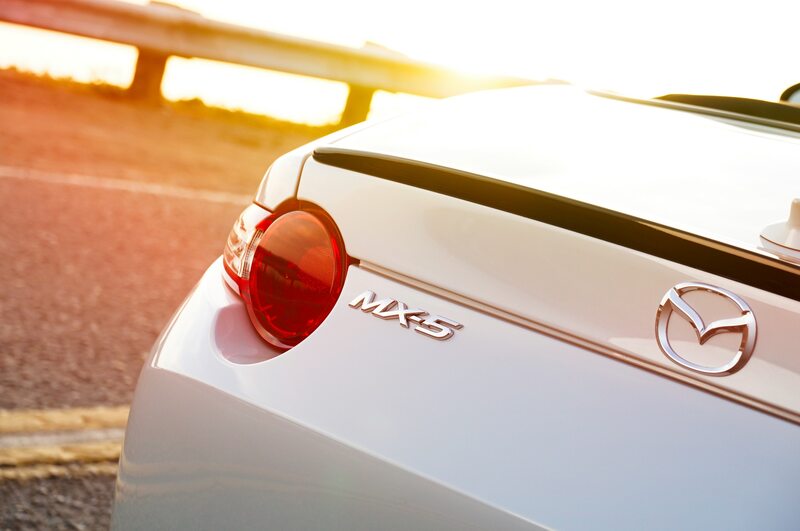 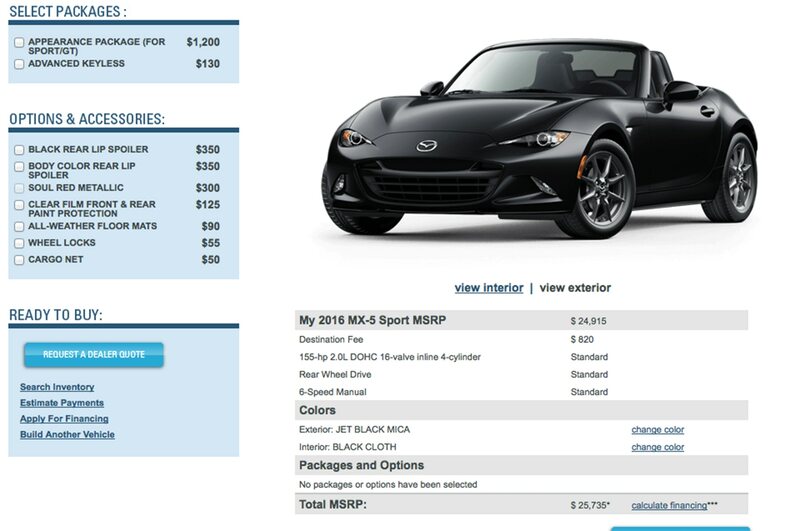 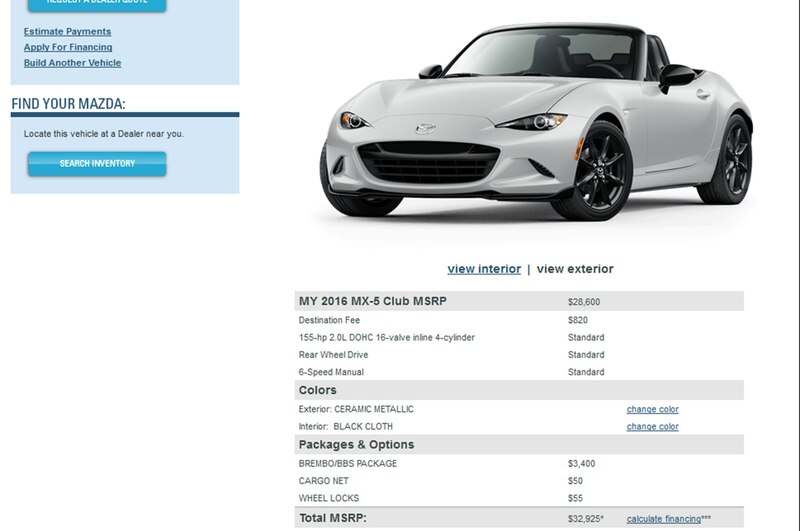 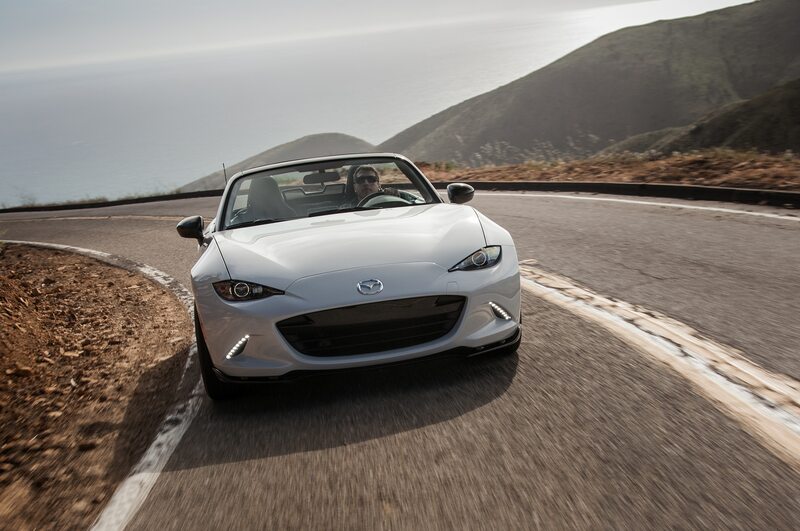 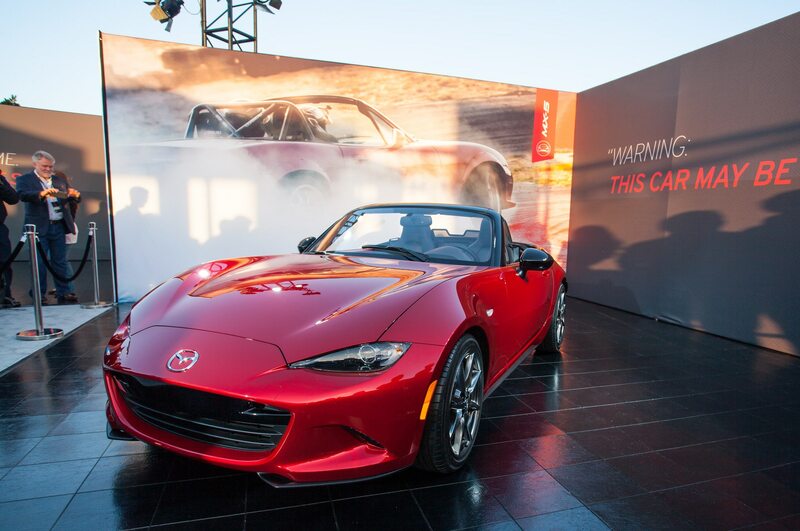 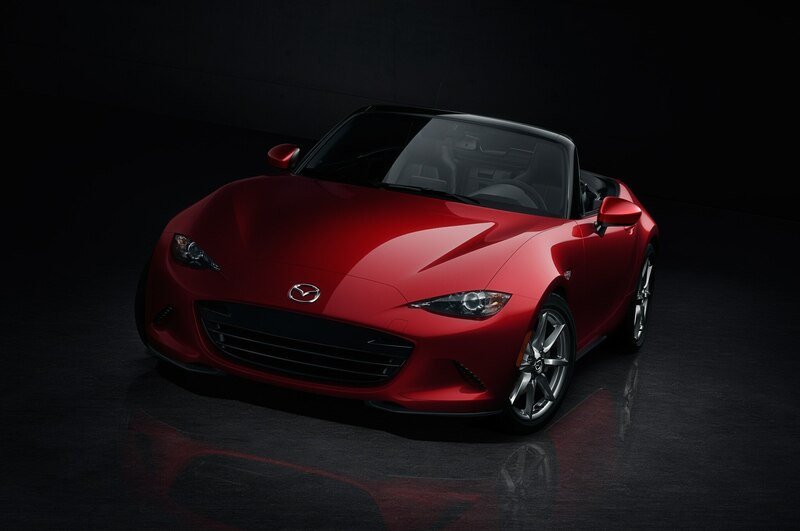 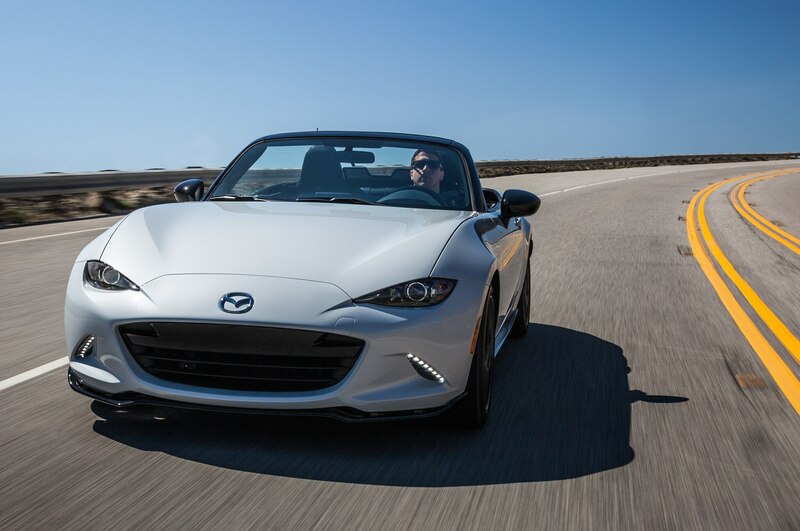 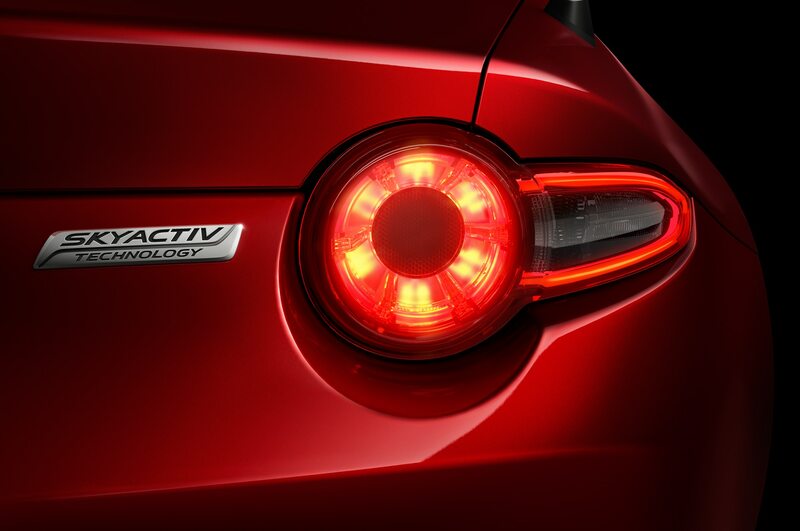 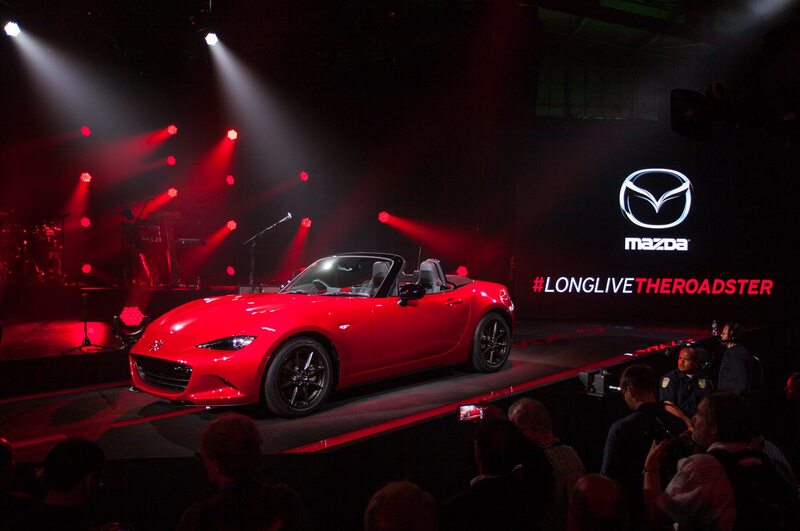 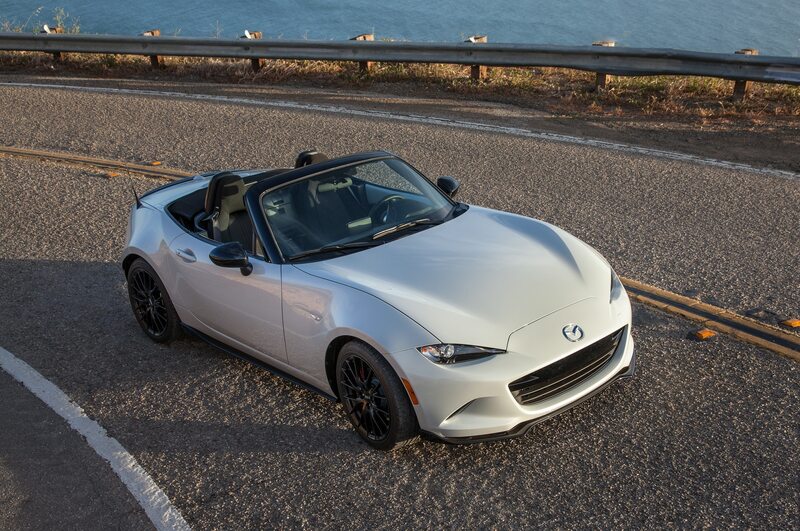 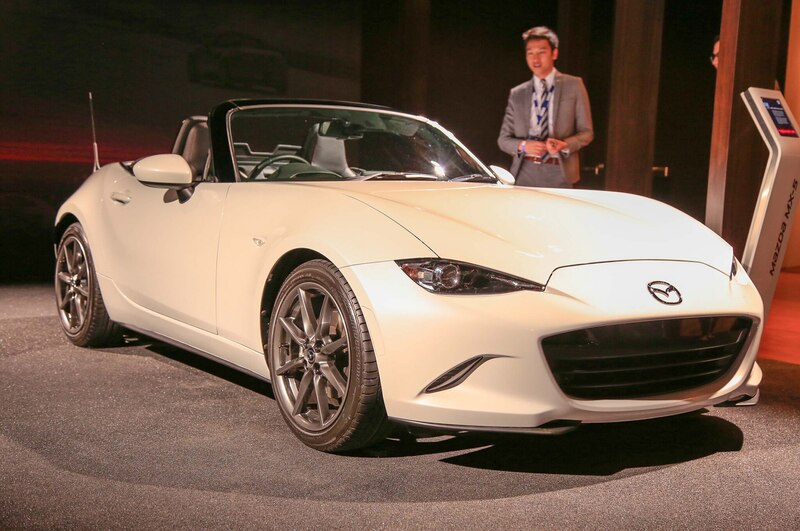 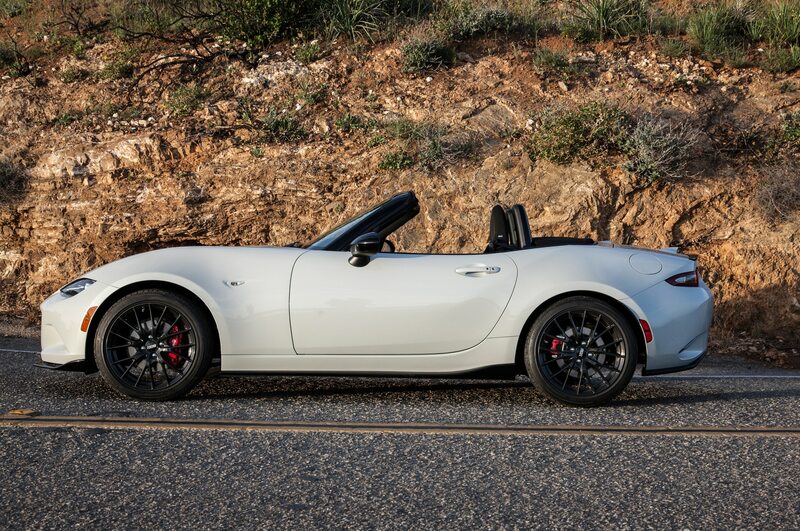 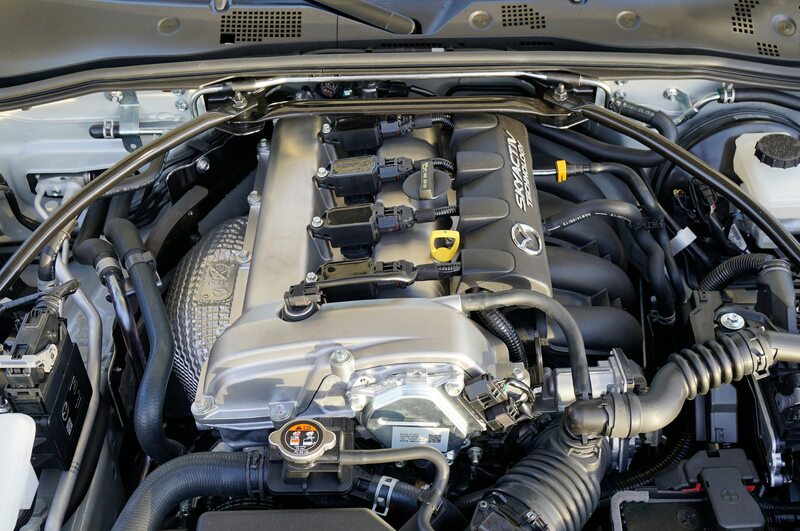 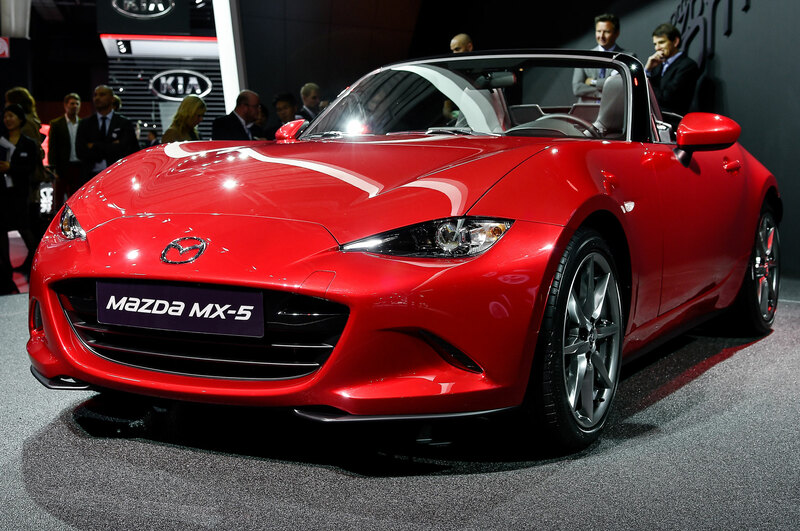 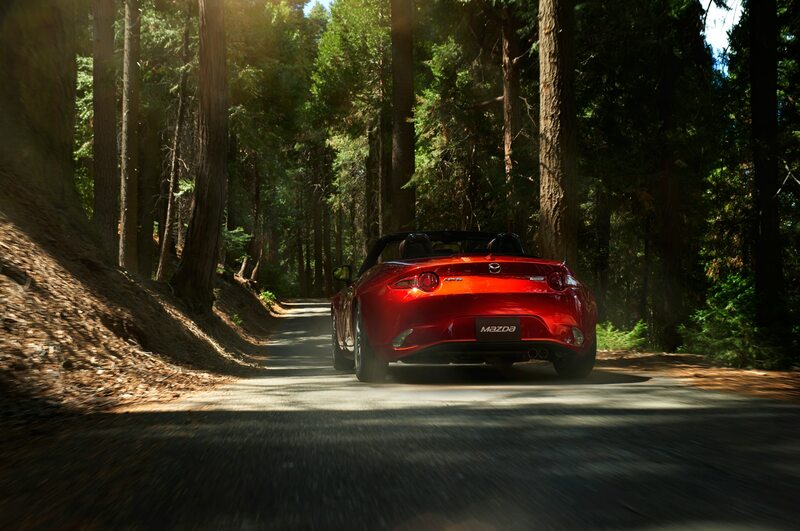 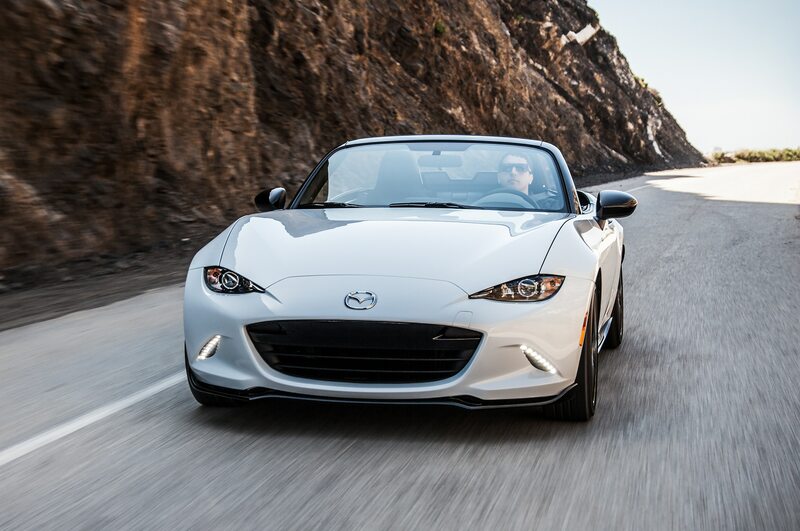 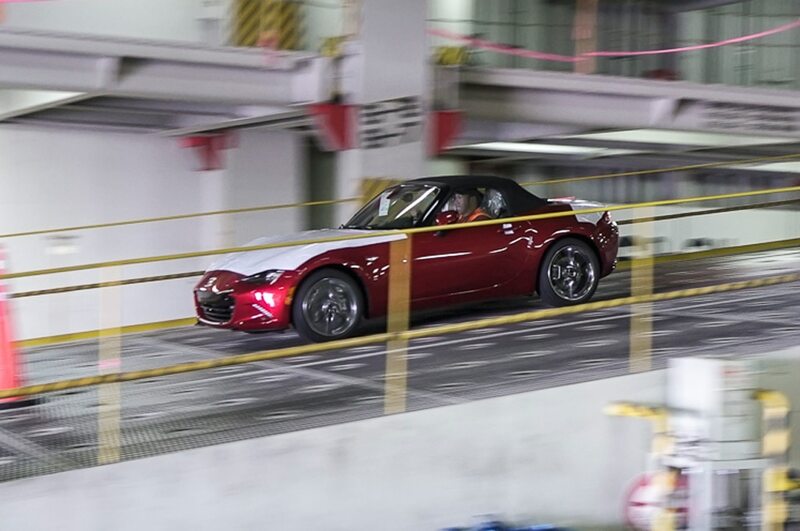 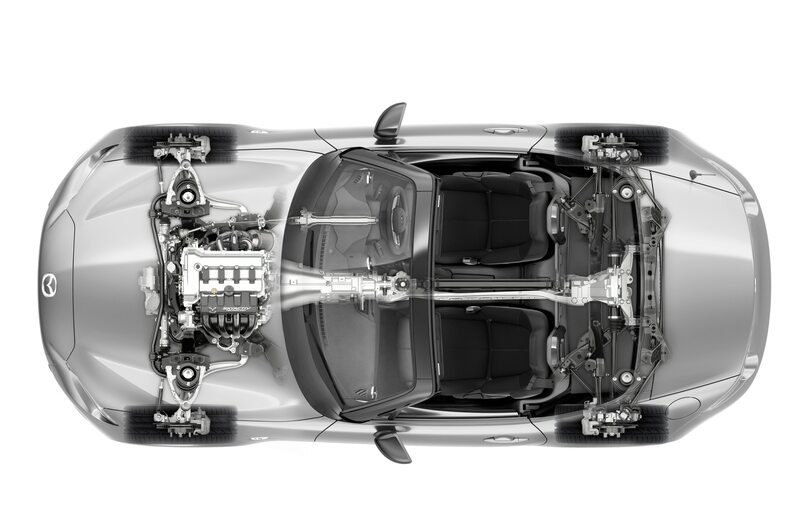 Both concepts promise to weigh less than 2,332-lb MX-5. 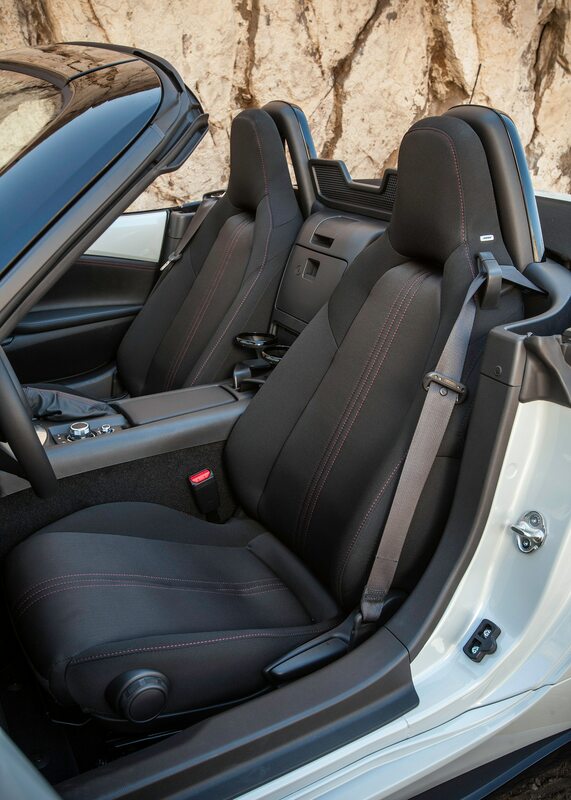 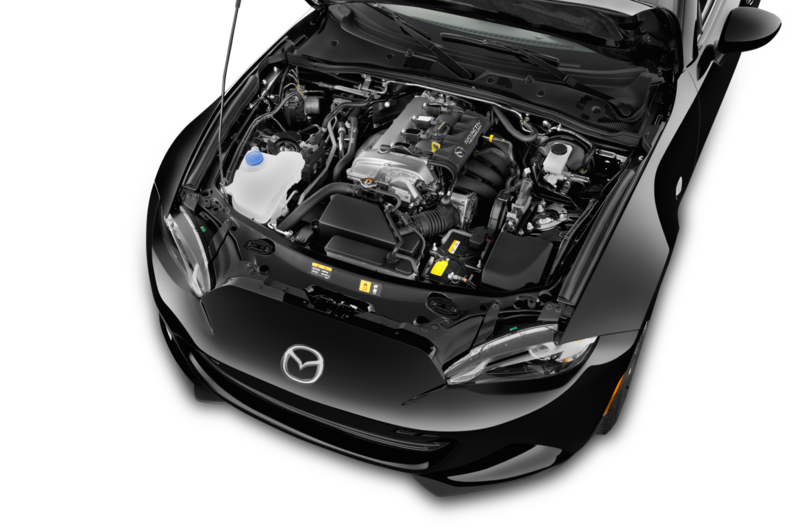 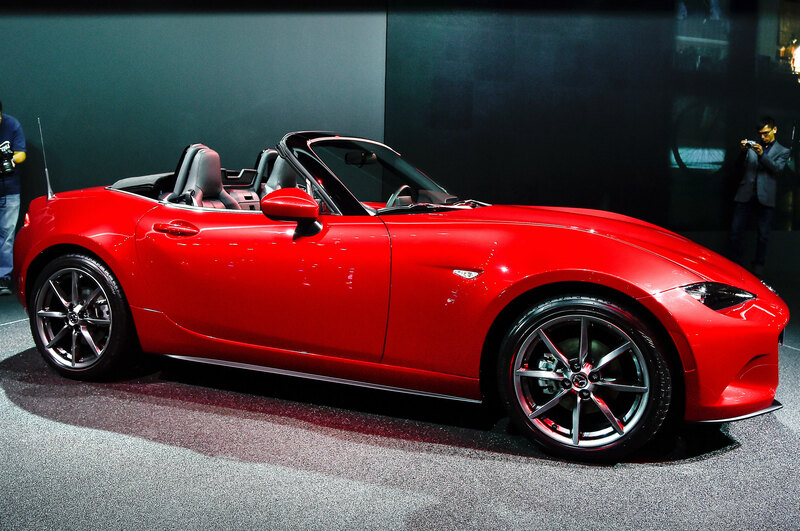 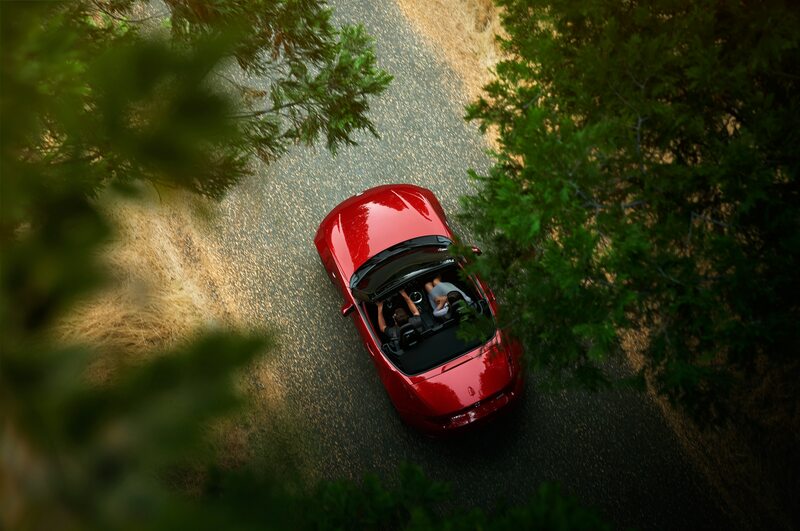 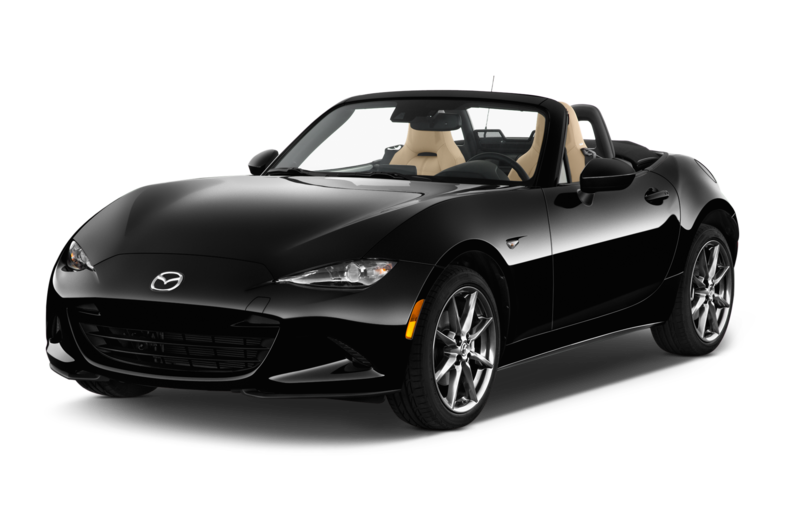 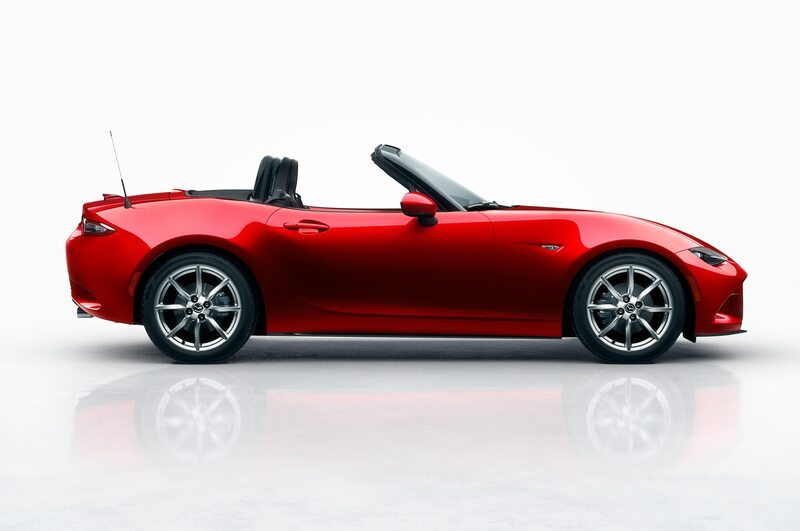 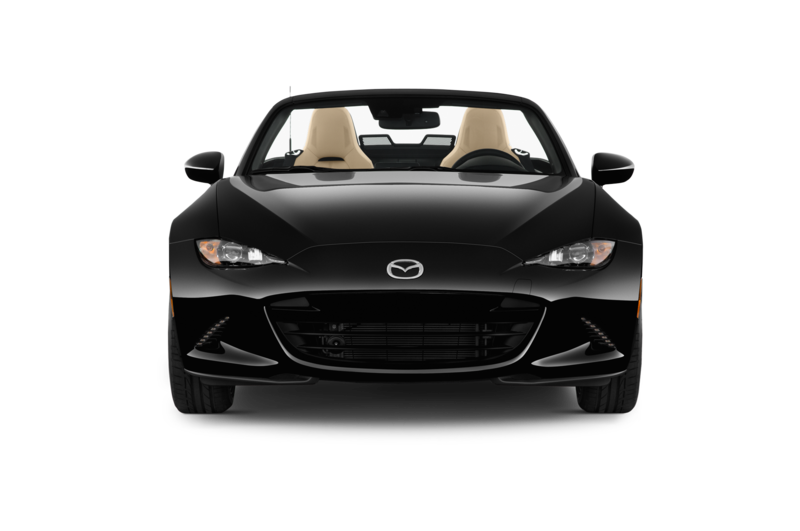 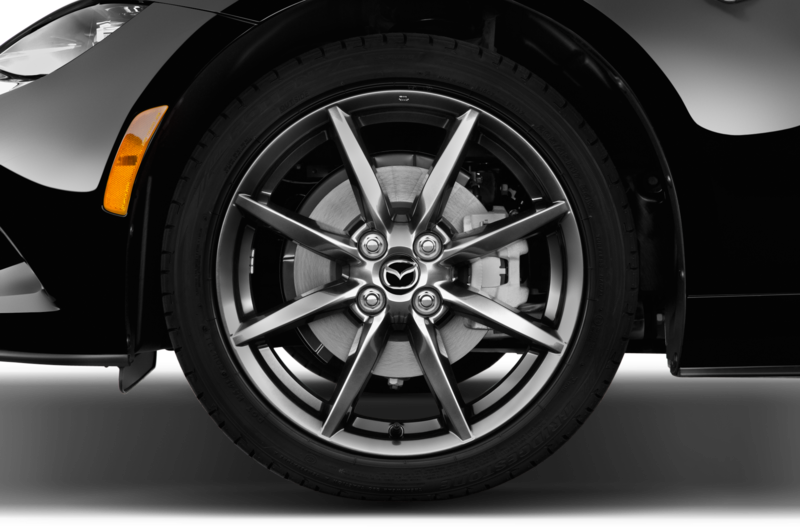 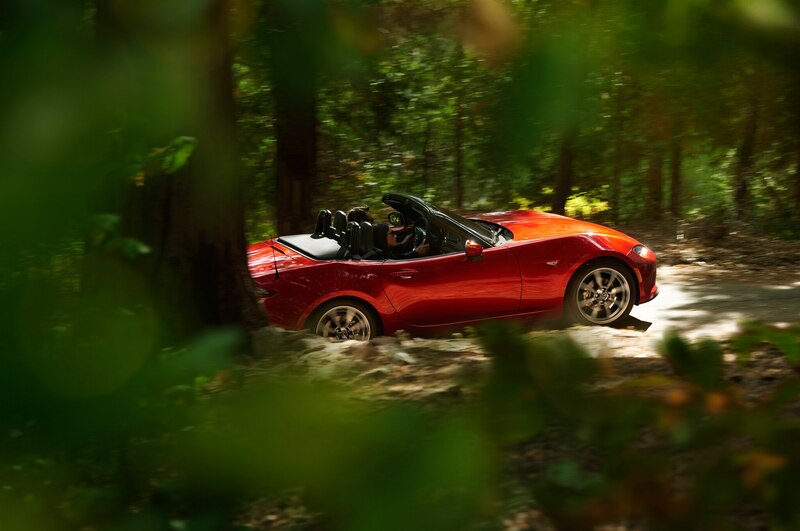 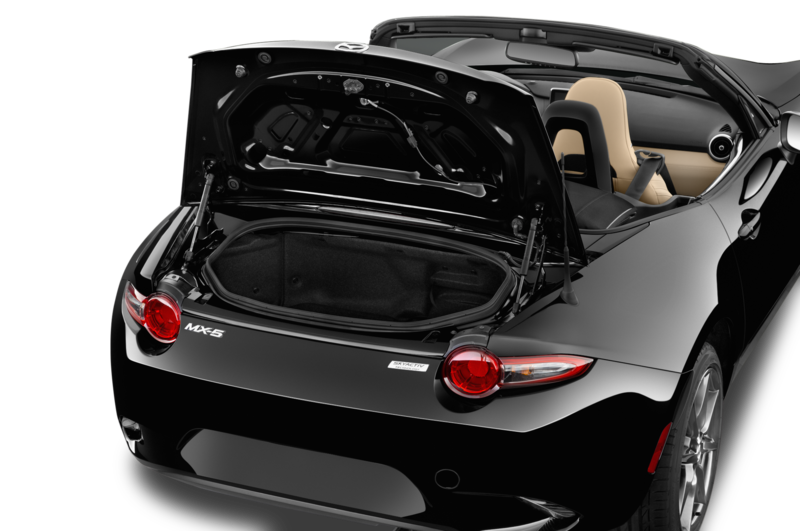 The new 2016 Mazda MX-5 Miata is already commendably light, at 2,332 pounds, but Mazda is planning to take even more weight out of its iconic sports car with two concepts headed to this year’s SEMA show. 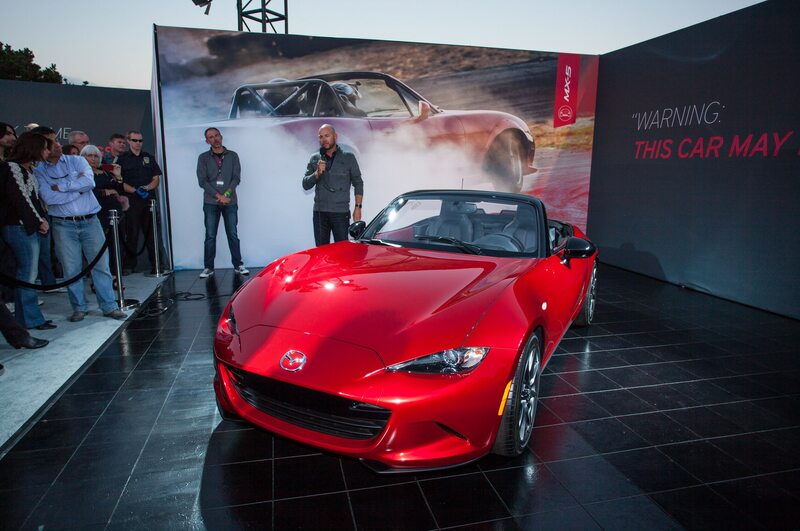 The MX-5 Spyder concept and the MX-5 Speedster concept debuting at the show are both meant to exemplify the roadster’s lightweight philosophy while adding different design elements to spice up the look. 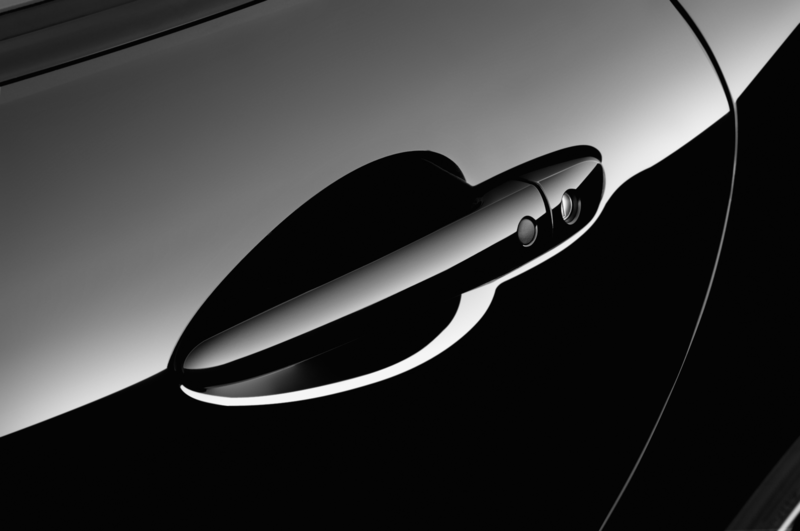 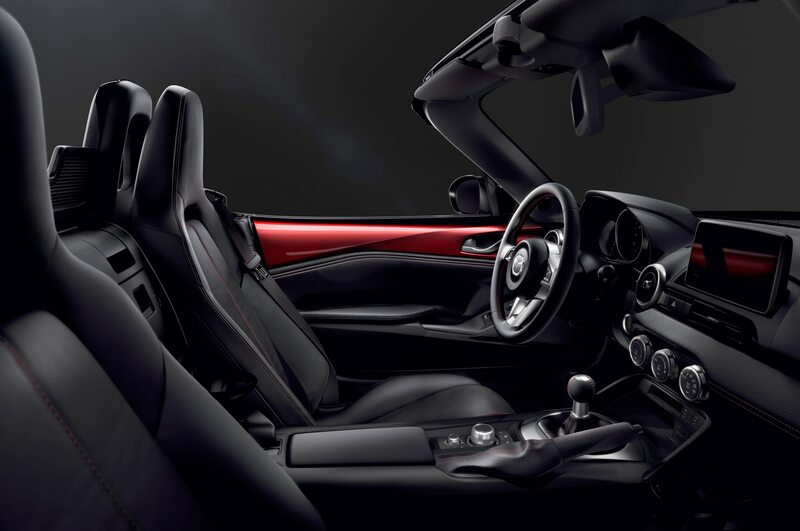 The Spyder concept pictured in the top half of the teaser photo is finished in a new color called Mercury Silver and is meant to evoke the look of a vintage roadster. 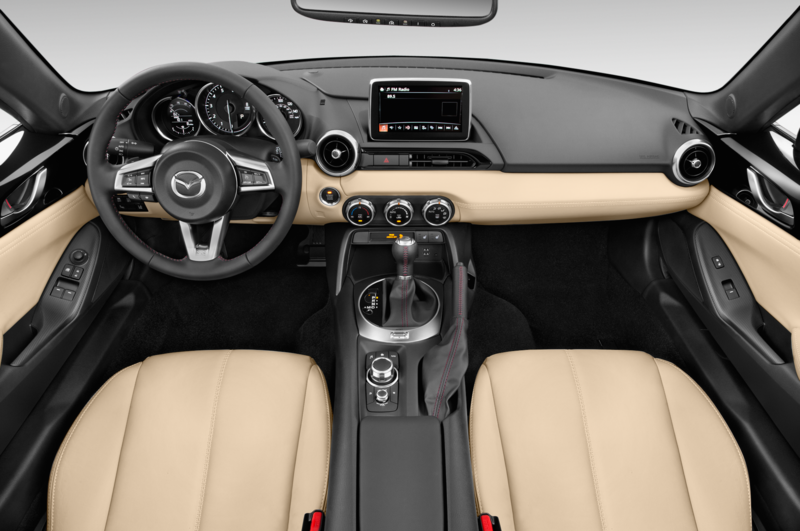 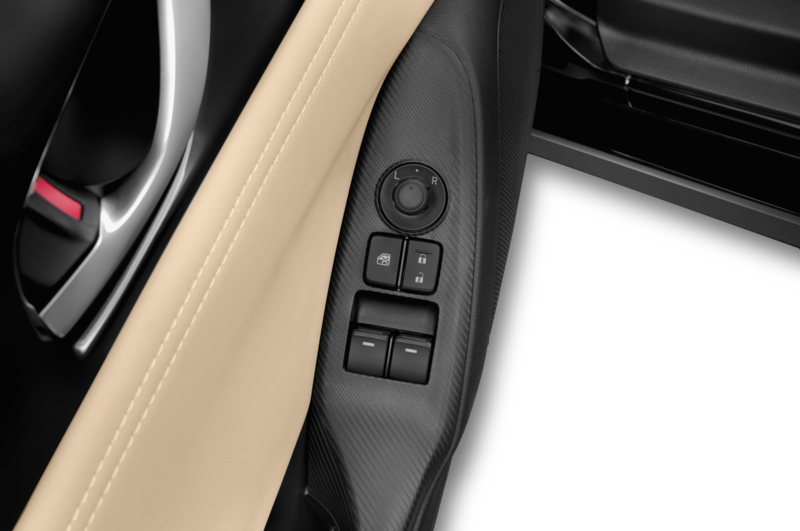 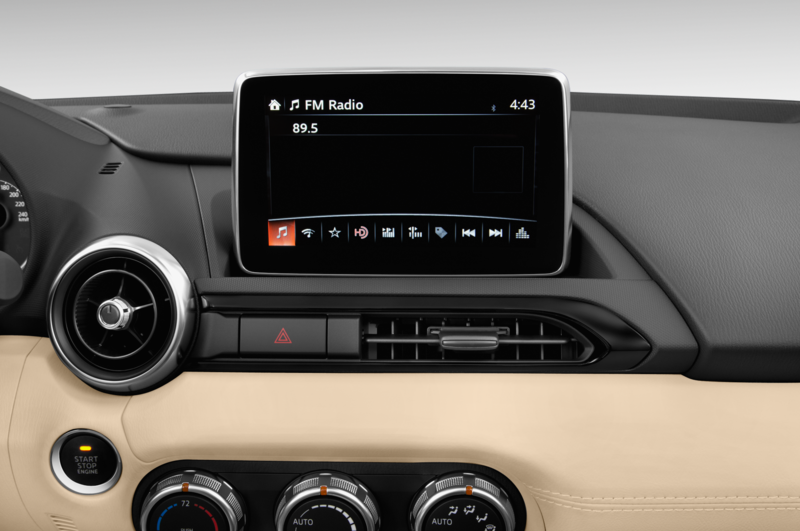 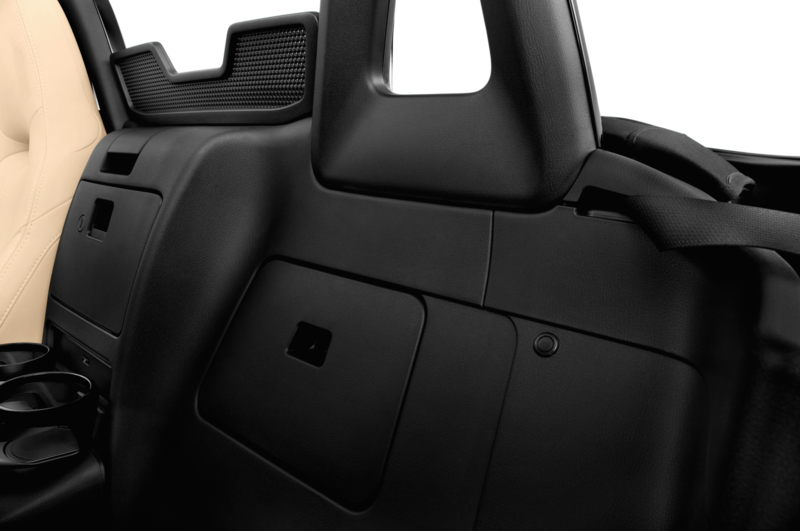 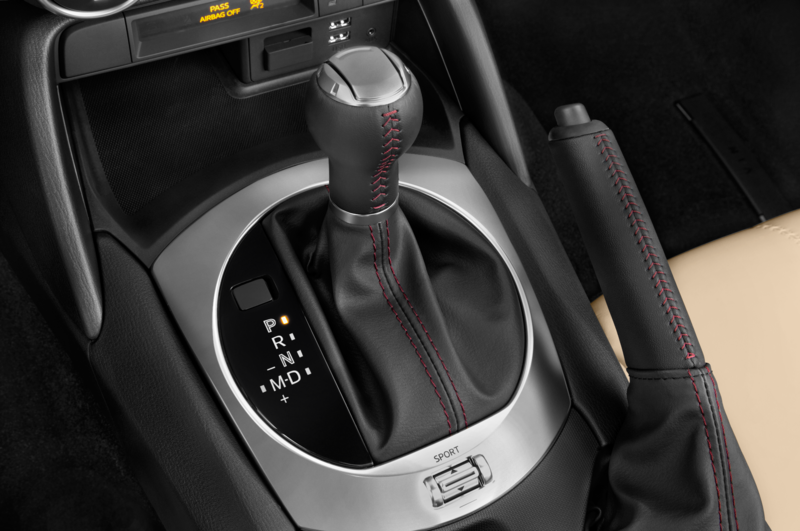 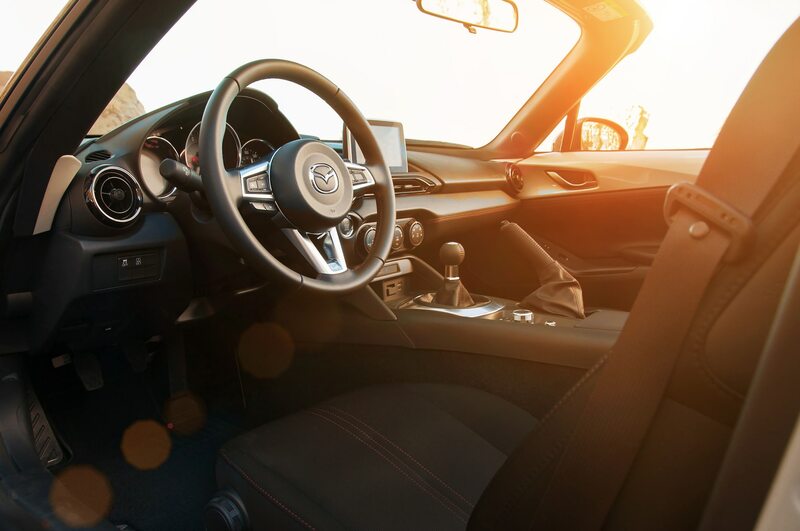 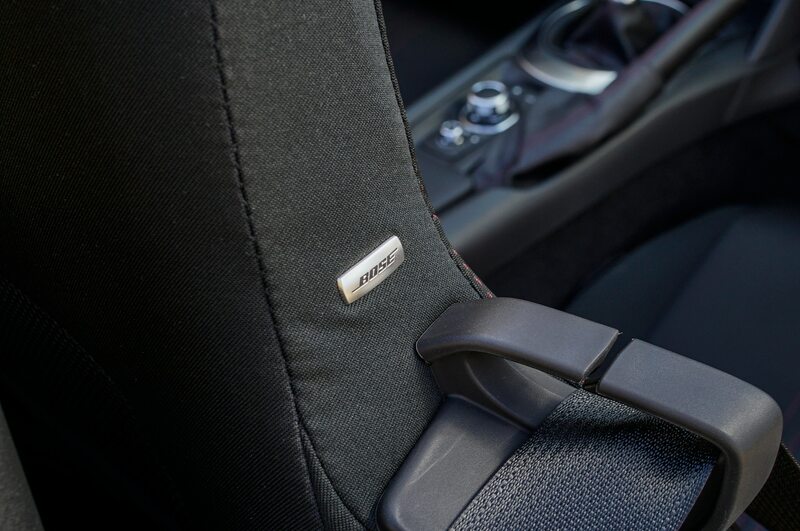 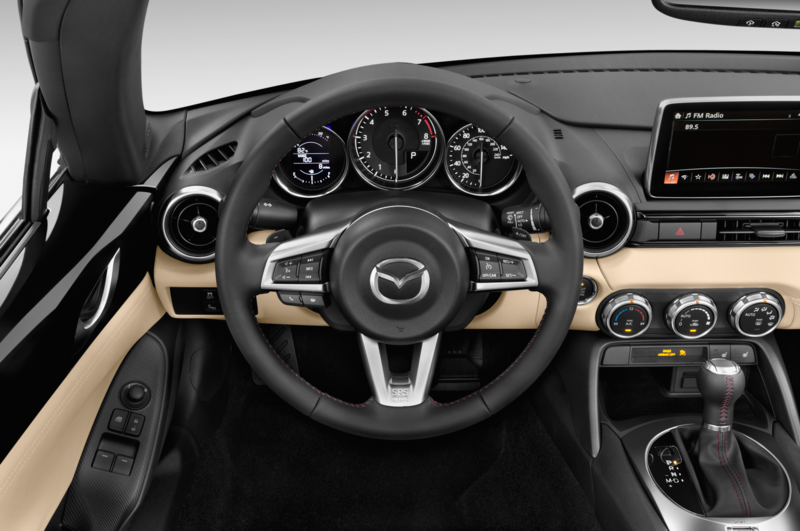 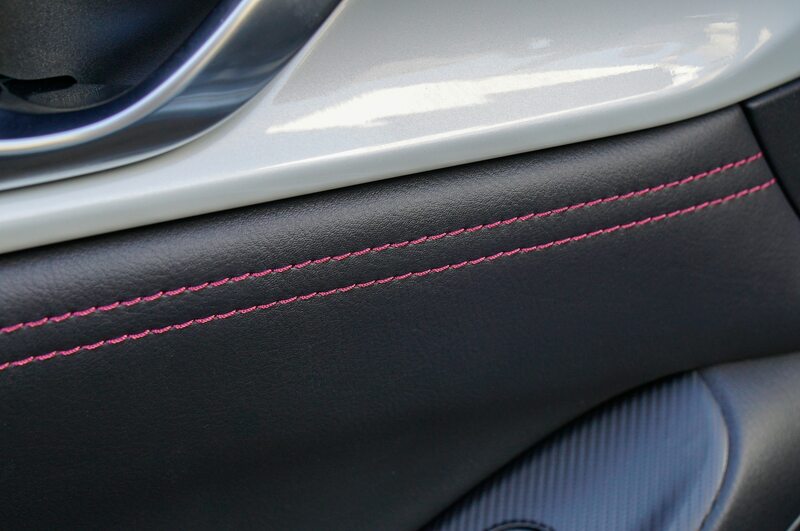 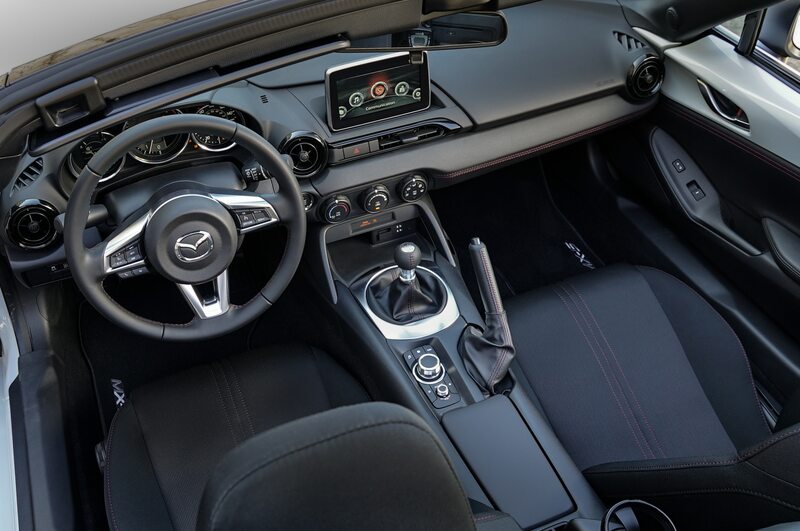 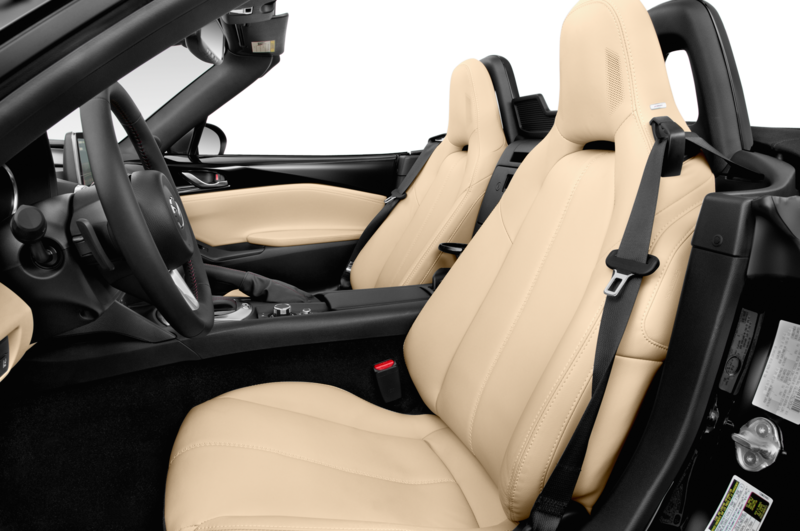 Though the brown softtop is raised in the teaser, Mazda says the interior features a redone interior with “bespoke” leather accents. 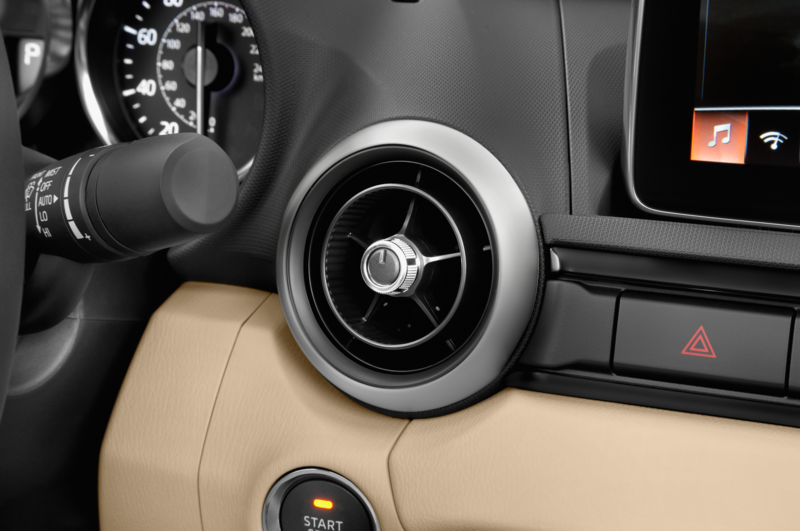 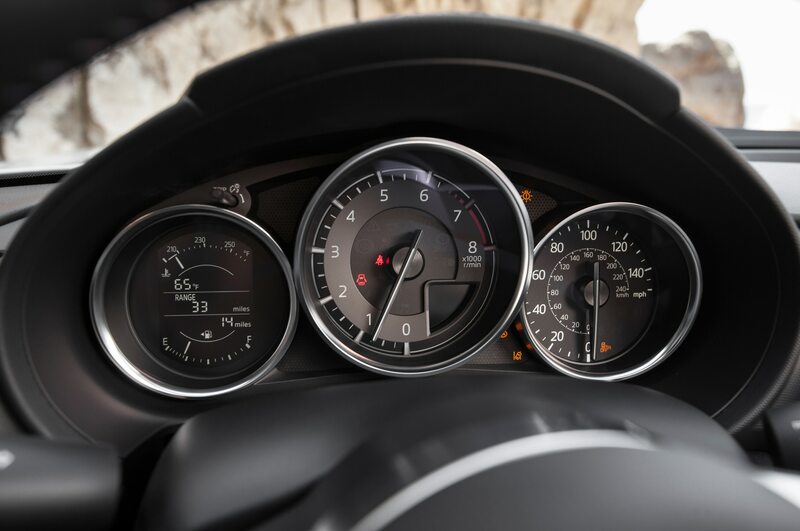 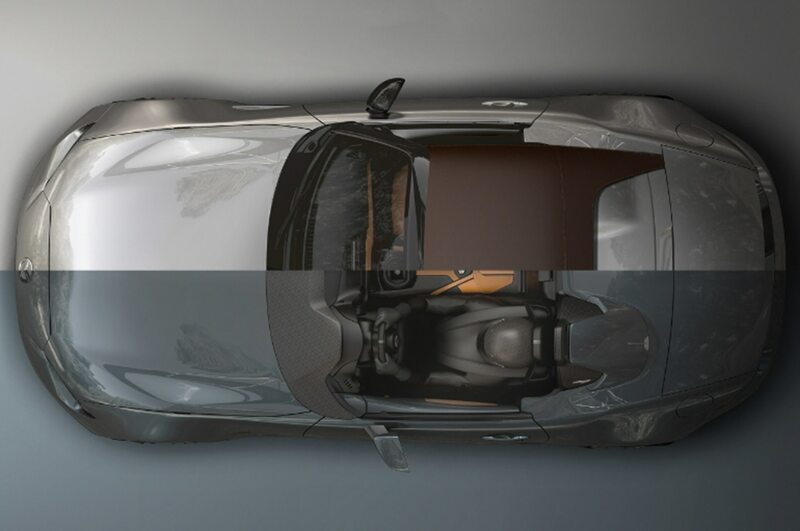 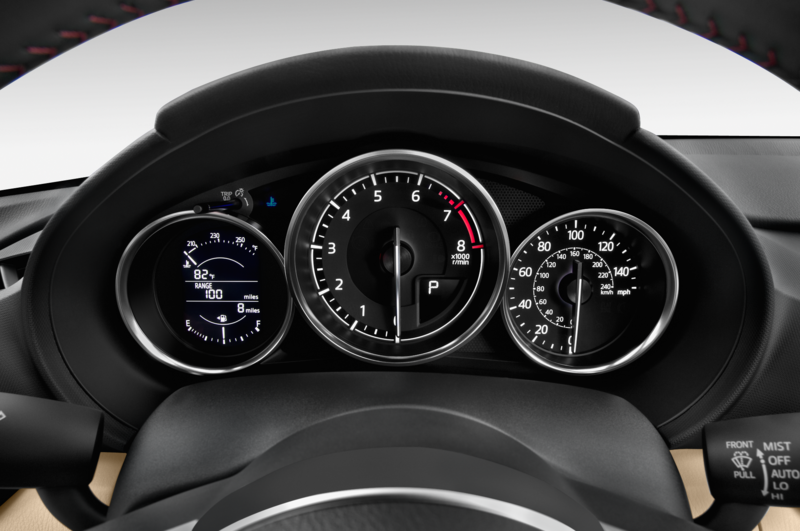 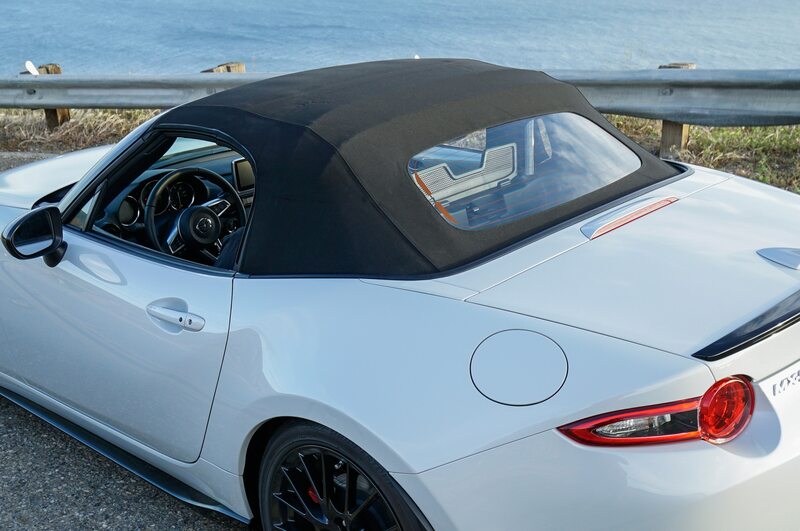 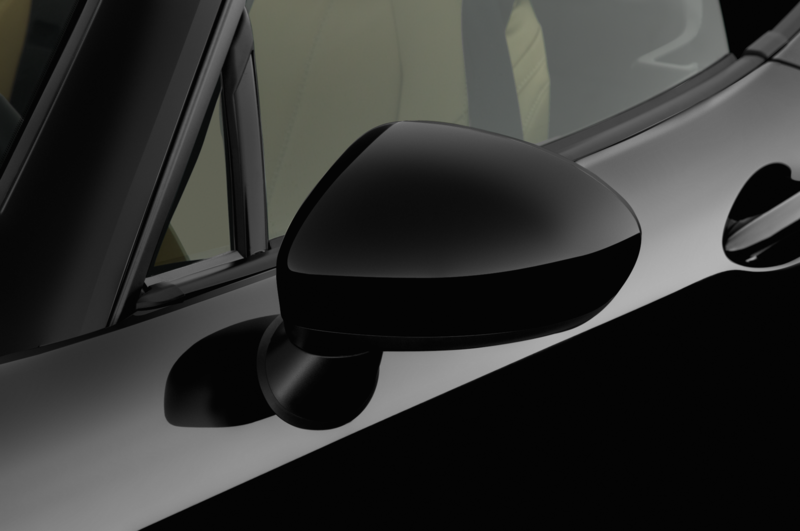 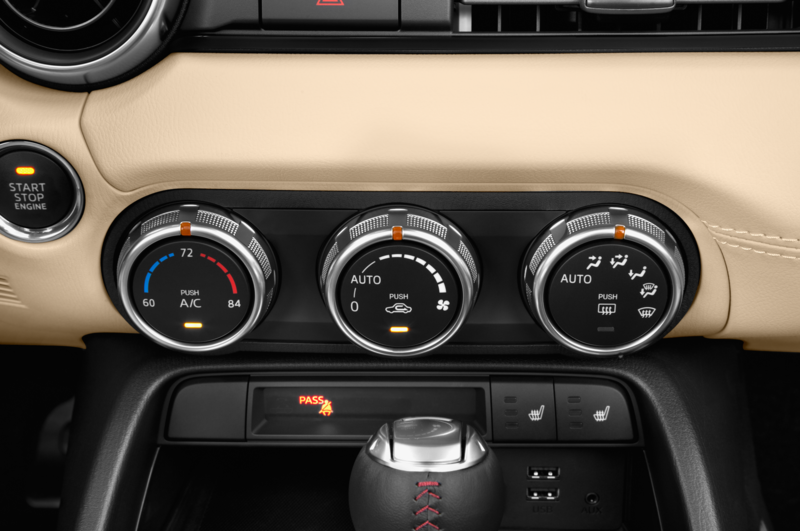 The Speedster concept, pictured in the bottom half of the photo, is meant to show minimalist principles, and does away with a windshield in favor of a wind deflector to save weight. 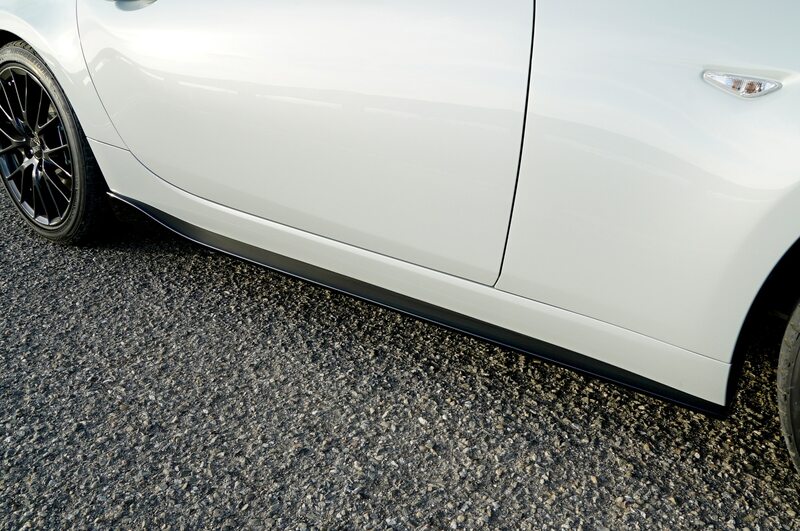 Its exterior is painted in a Blue Ether color, and the rear decklid appears to have a sort of faring to channel air behind the driver. 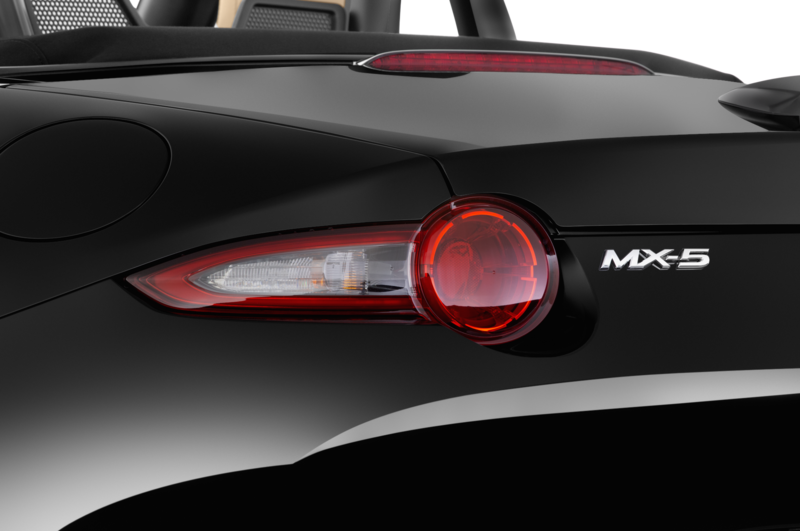 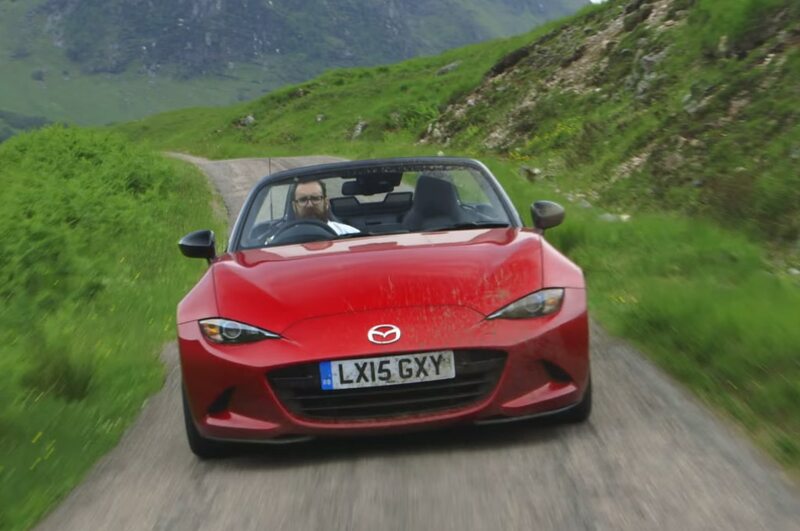 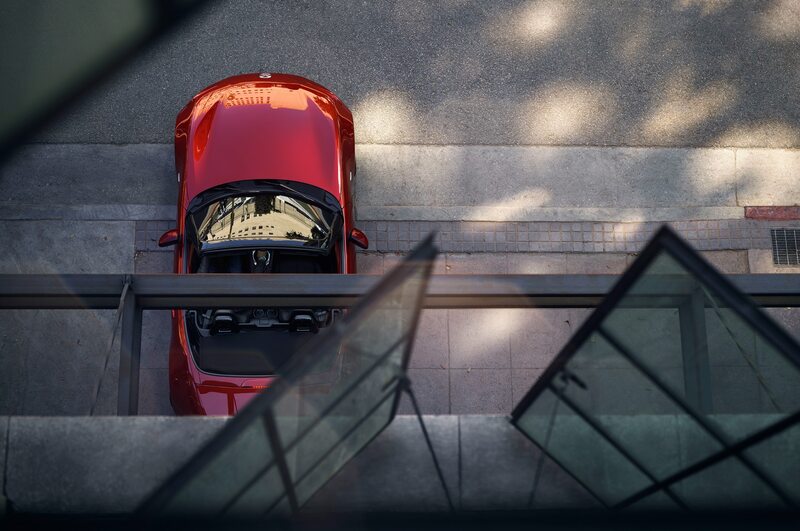 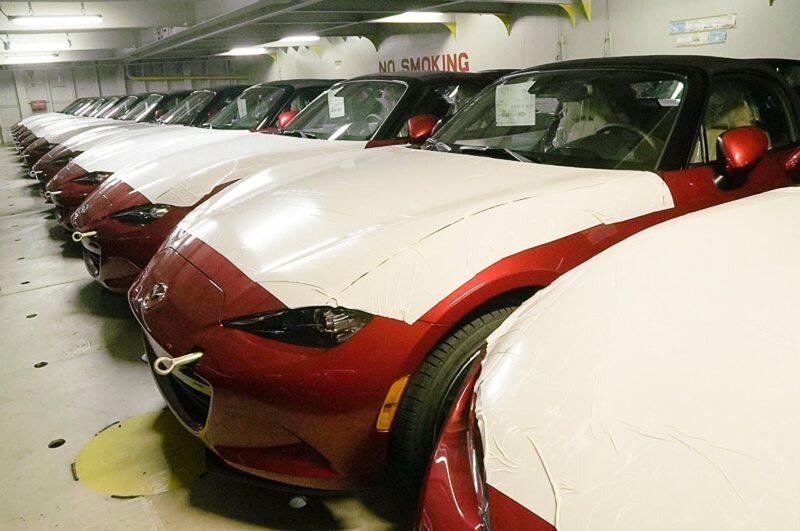 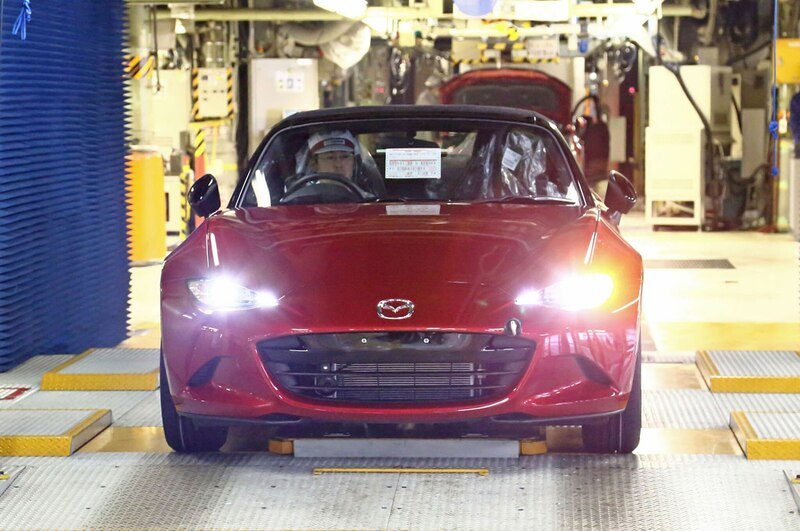 Mazda says that both concepts are significantly lighter than the standard MX-5, though it hasn’t released any details about the cars’ modifications yet. 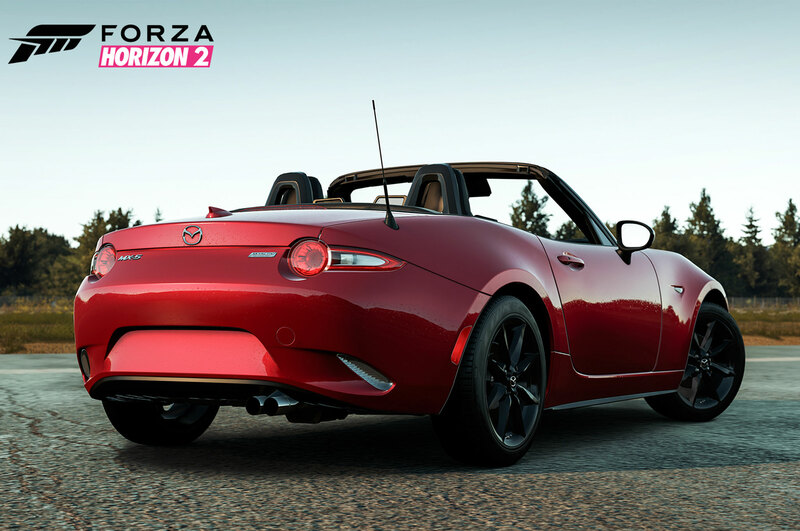 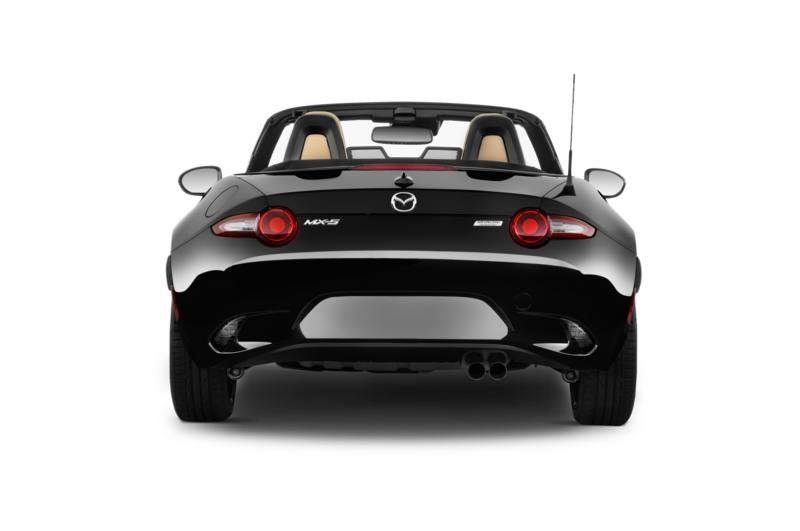 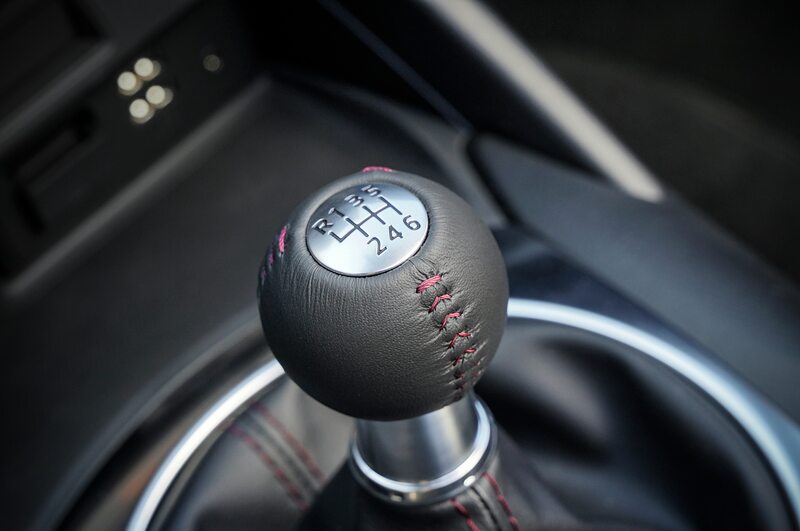 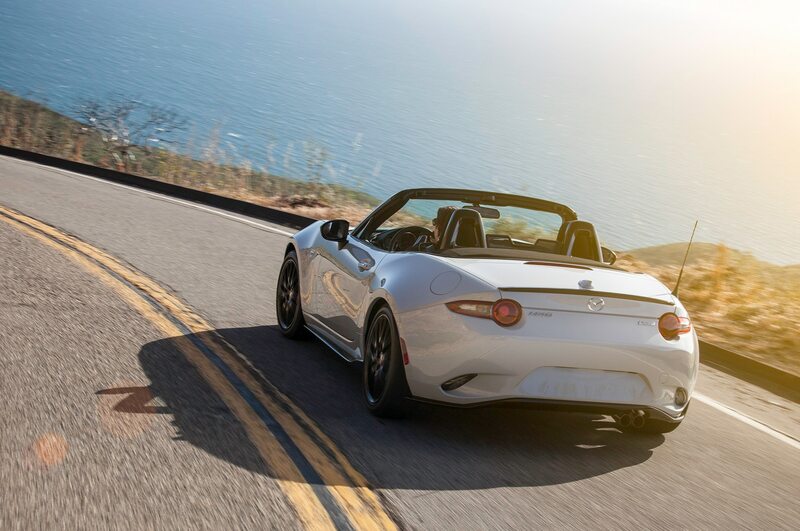 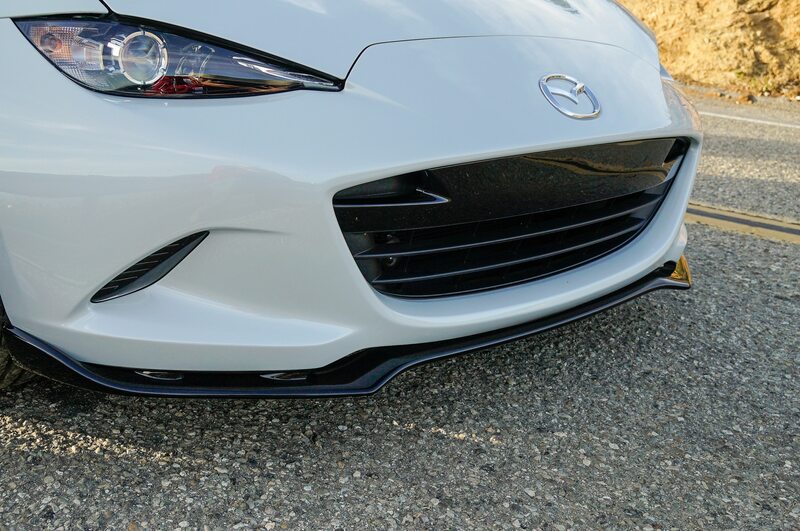 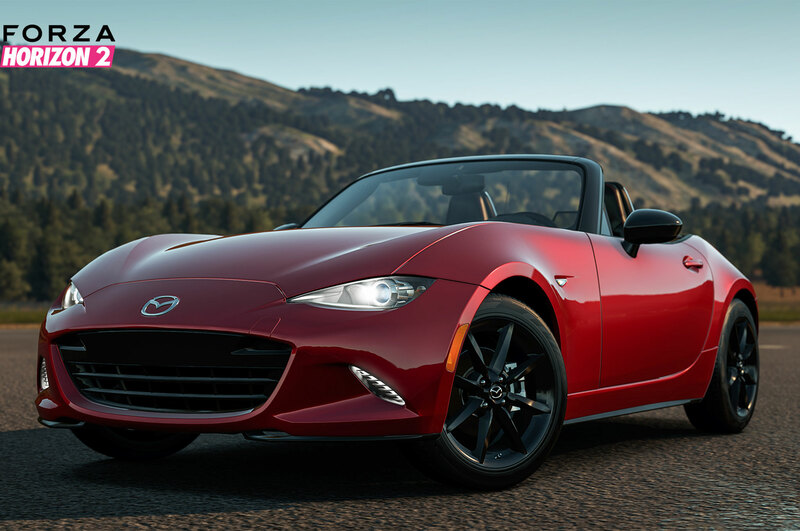 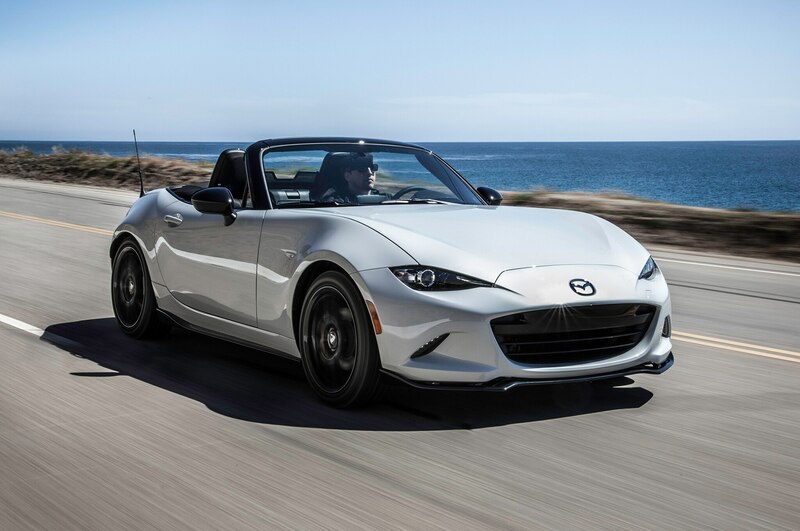 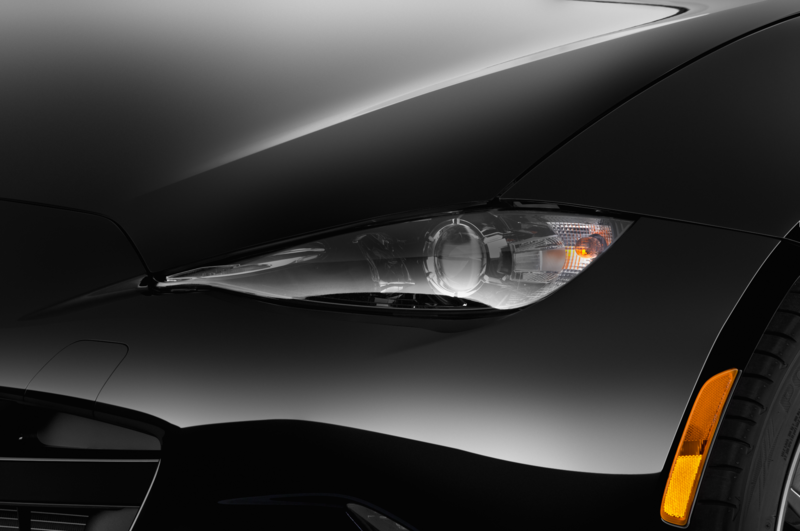 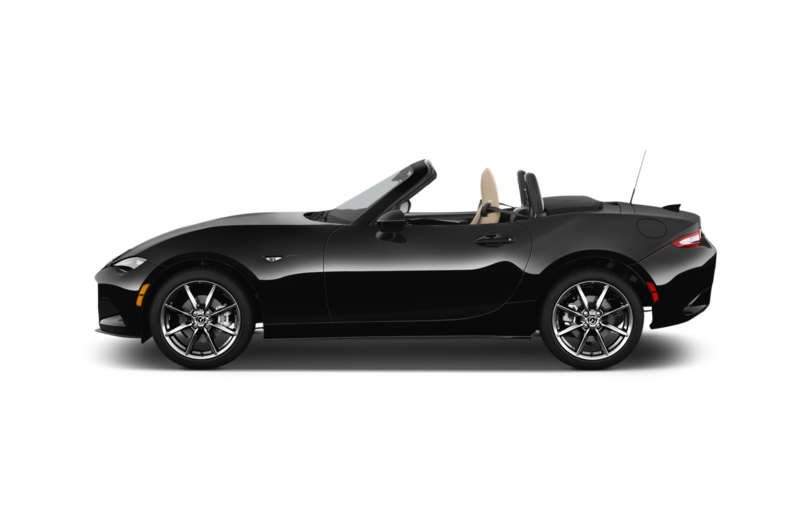 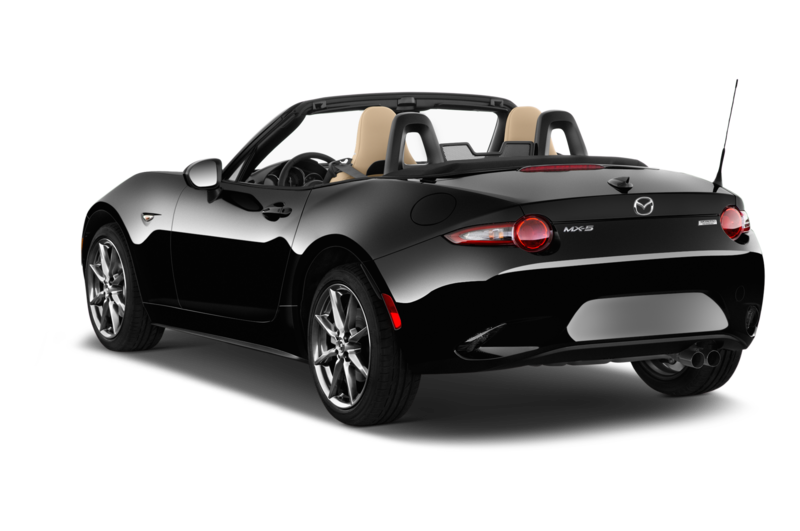 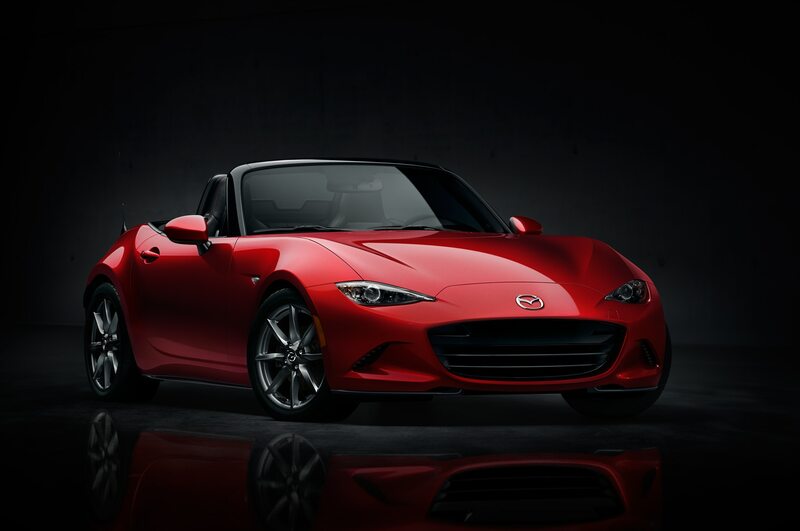 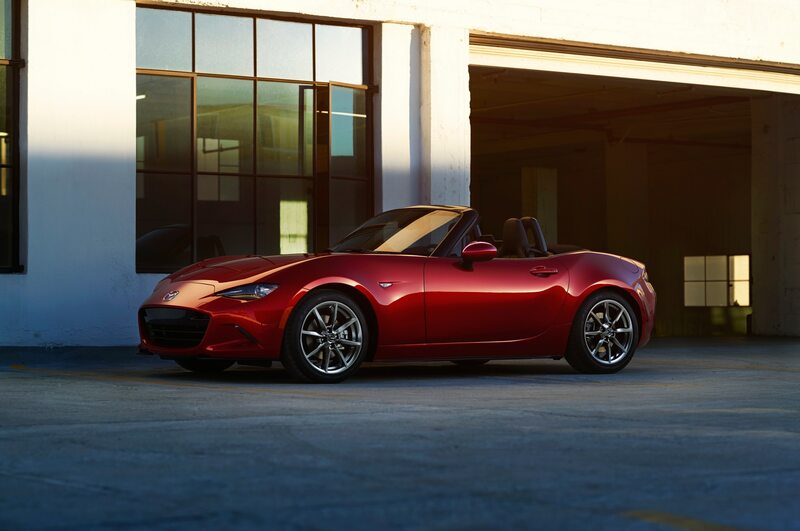 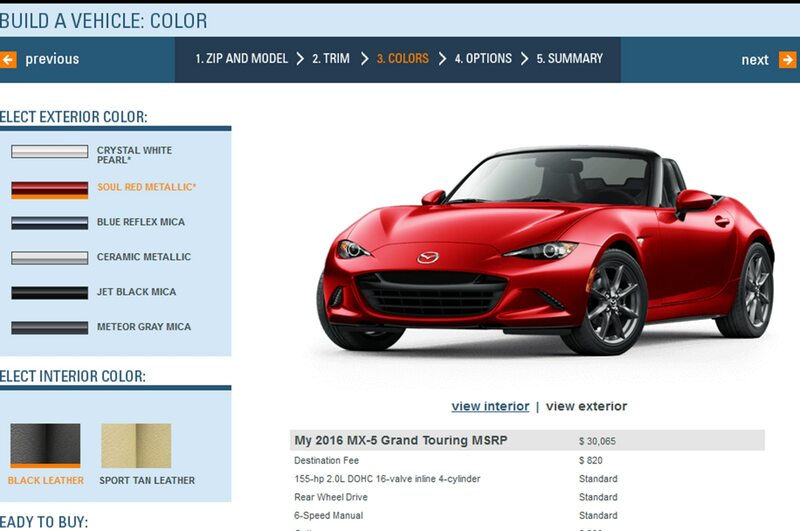 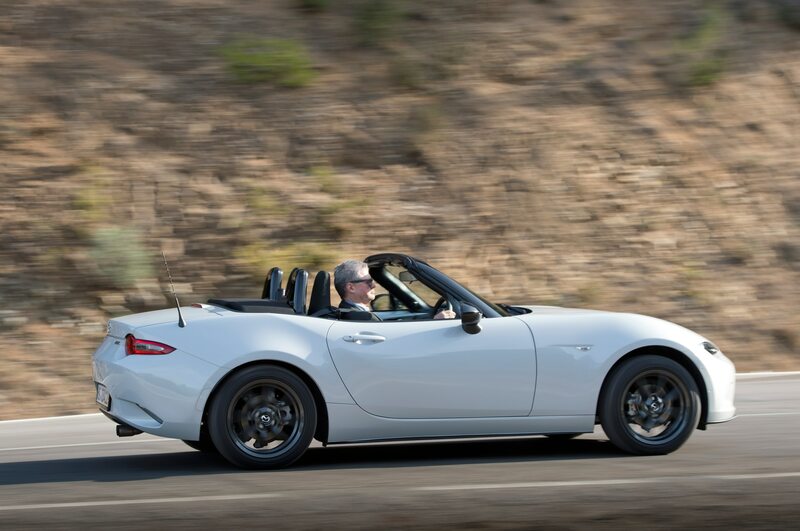 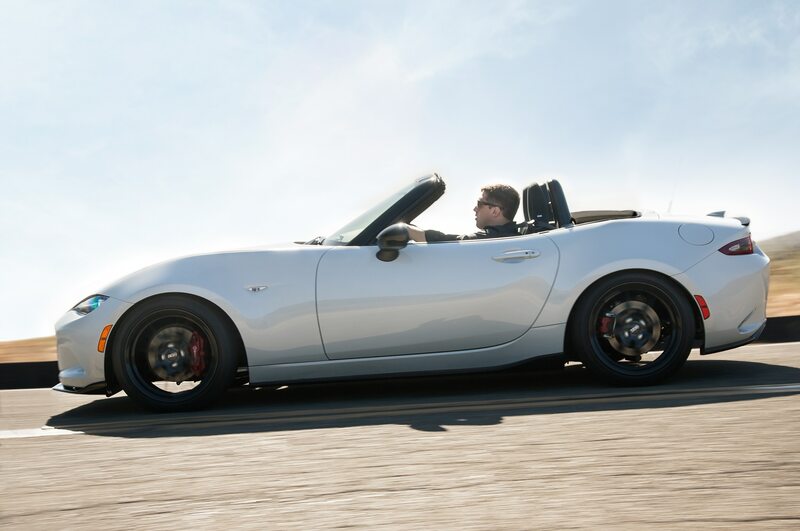 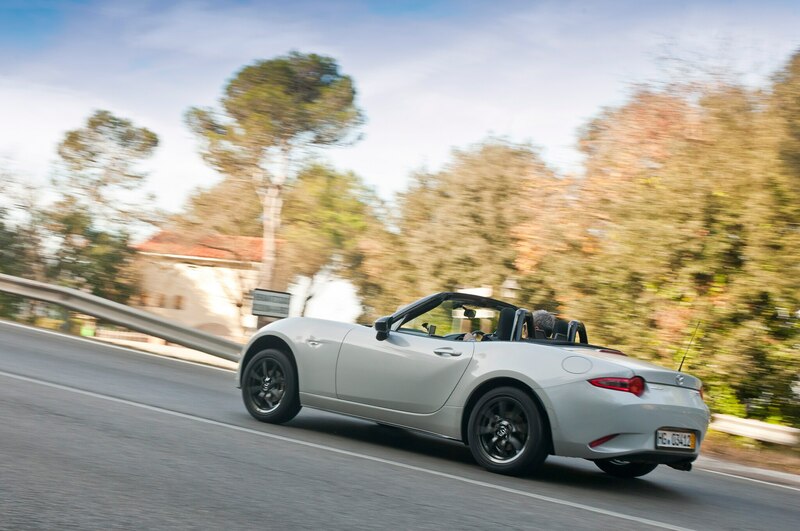 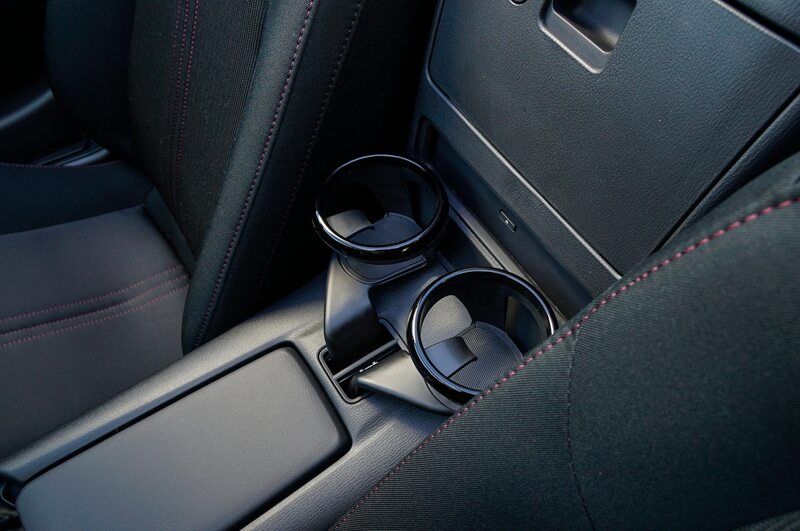 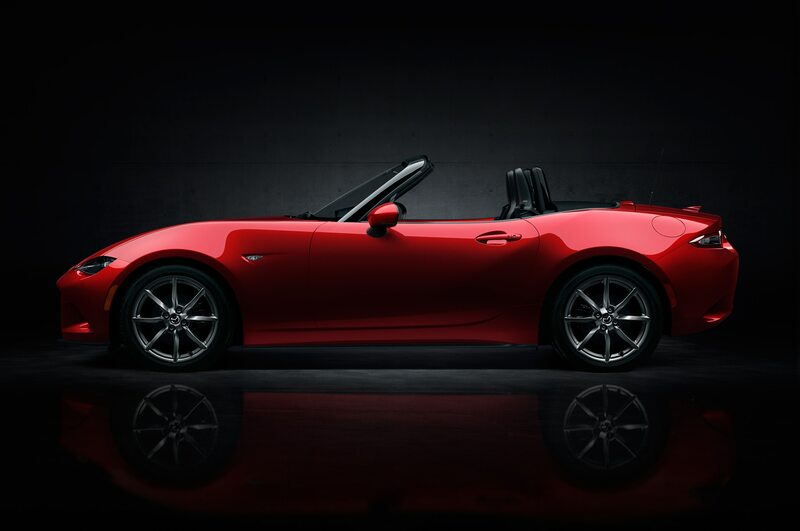 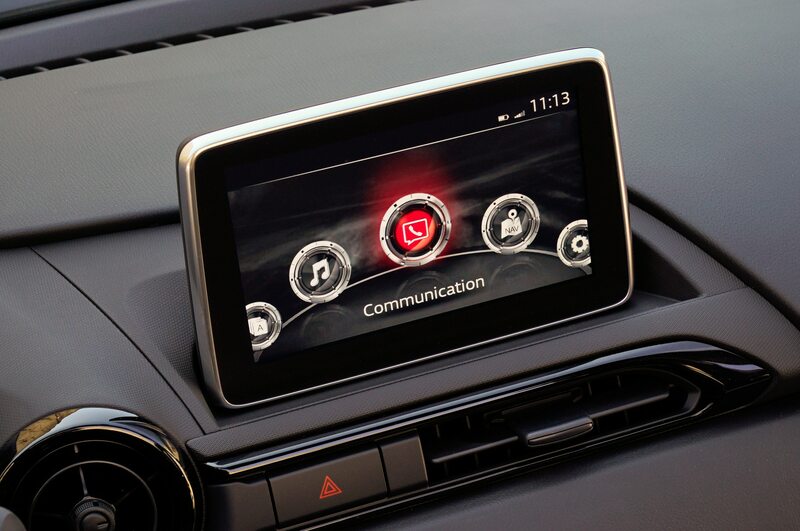 The company did say it partnered with aftermarket tuners like Rays Wheels, KW Suspensions, American Sunroof Corporation, Racing Beat, and more, so the Miata concepts are sure to boast plenty of new performance parts. 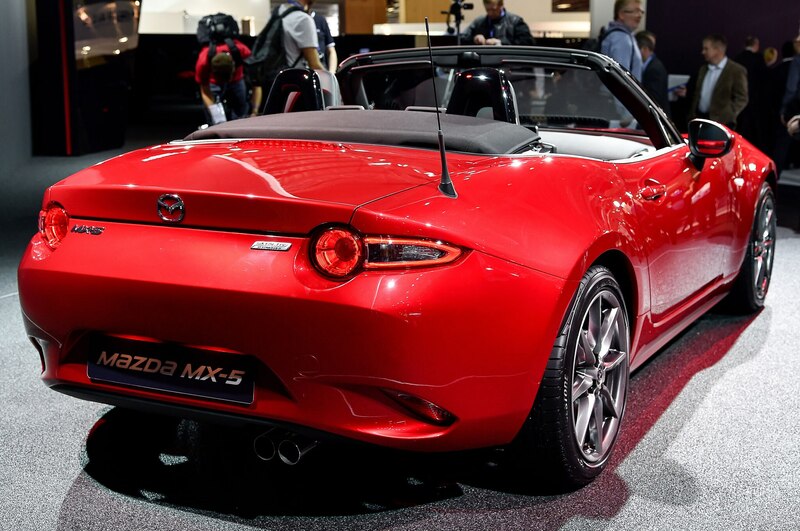 We look forward to seeing the modified Speedster and Spyder Miatas in the flesh. 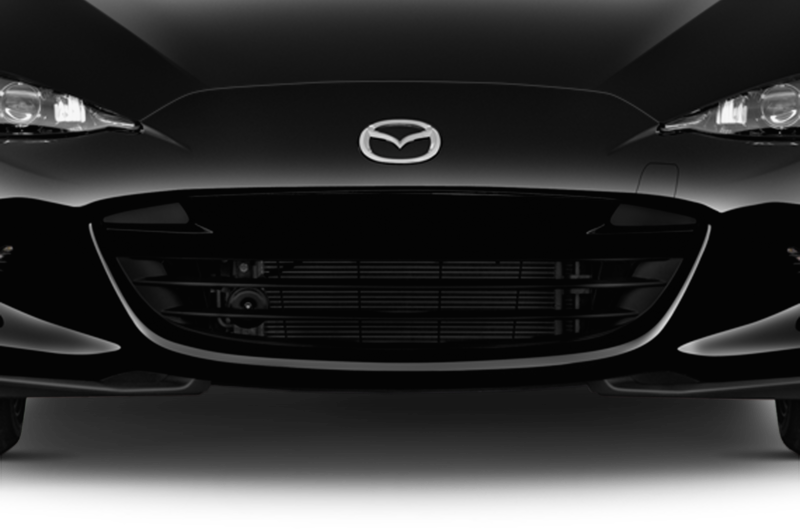 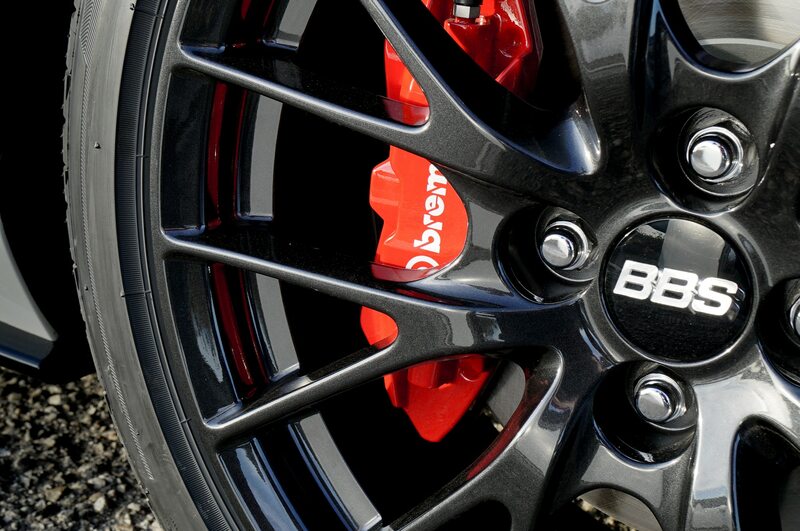 Stay tuned for more news as the 2015 SEMA show kicks off in Las Vegas next week.